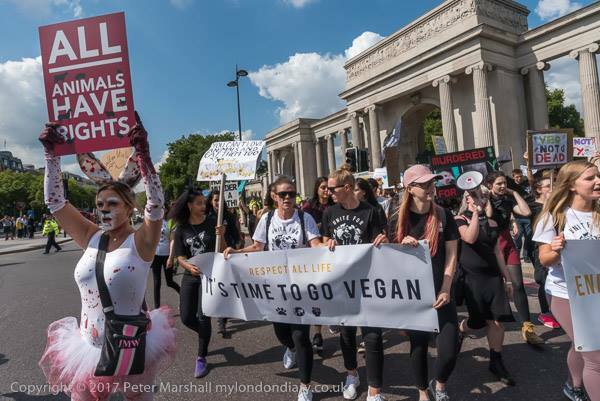 On September 2nd, 2017 - in cities across the world: London, New York City, Miami, Los Angeles, Toronto, Budapest, etc. 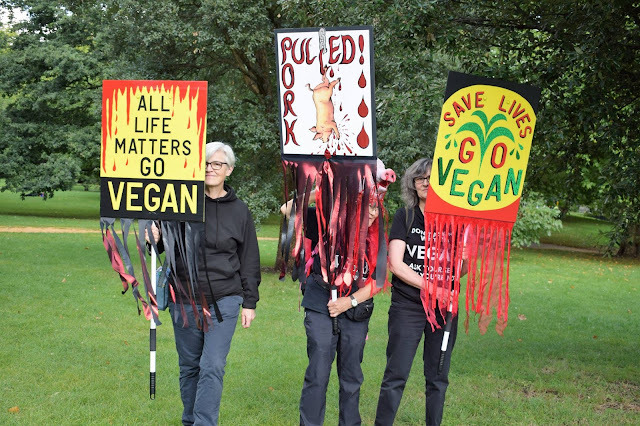 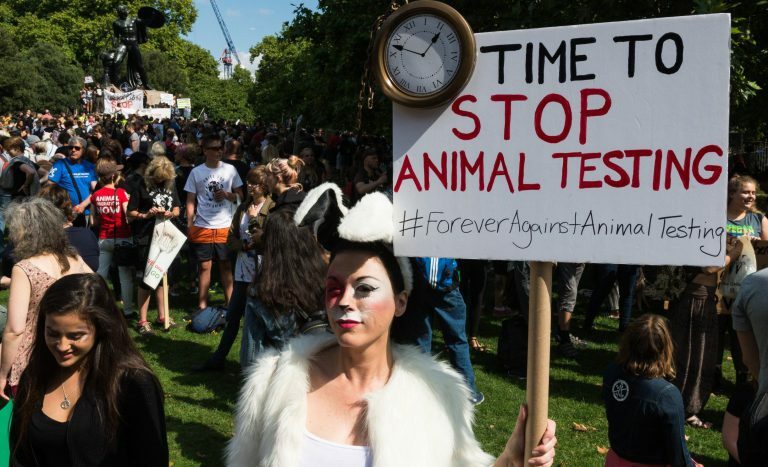 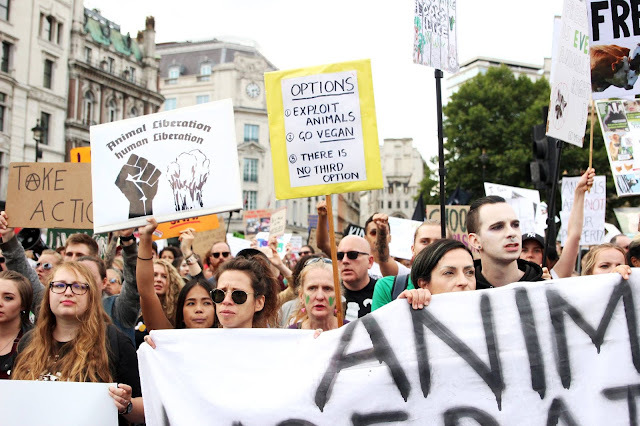 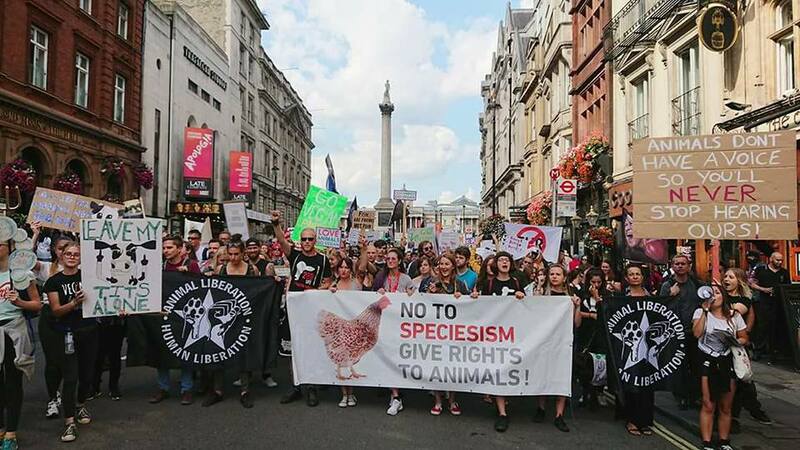 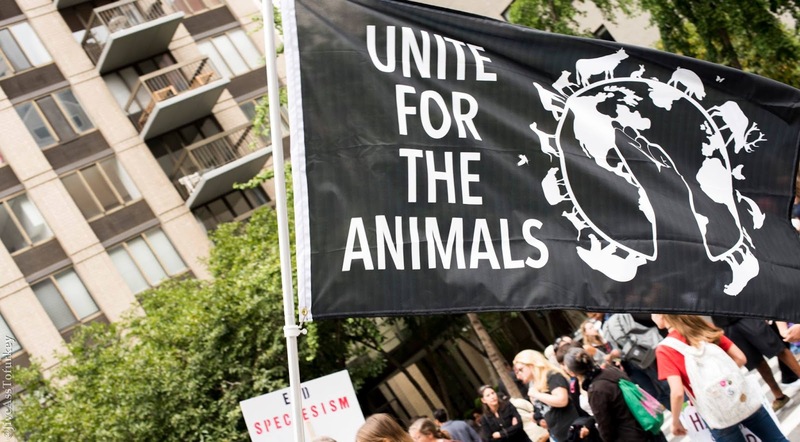 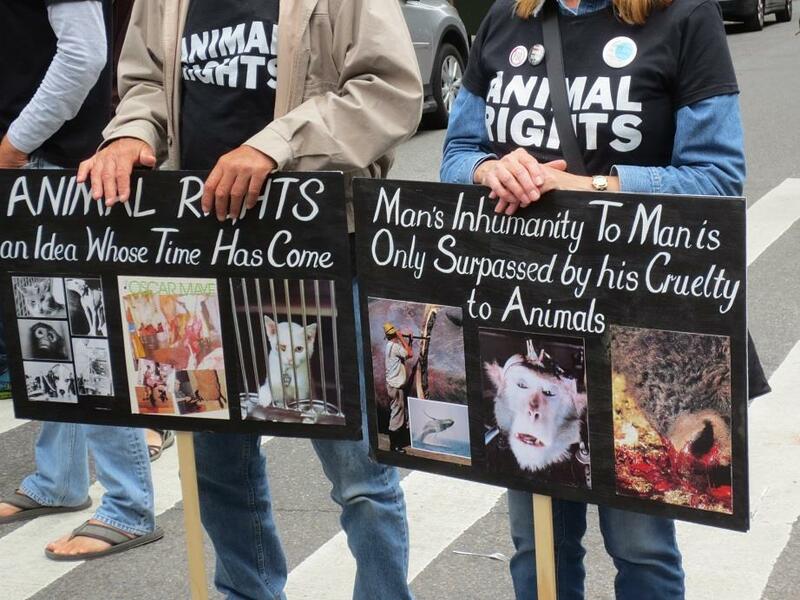 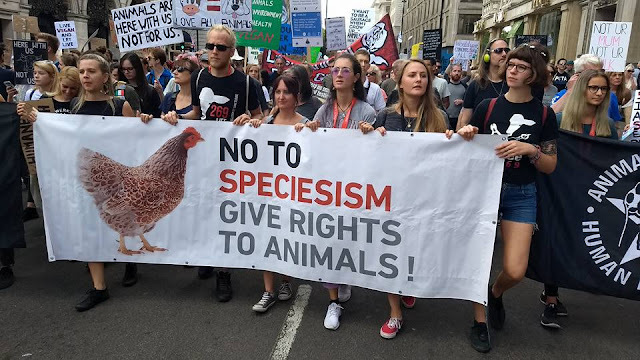 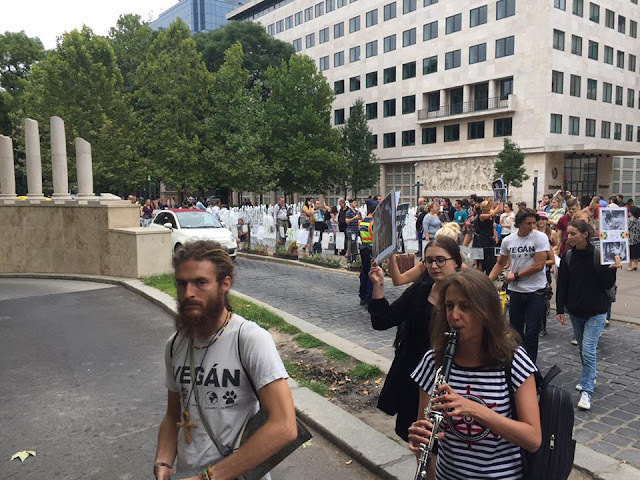 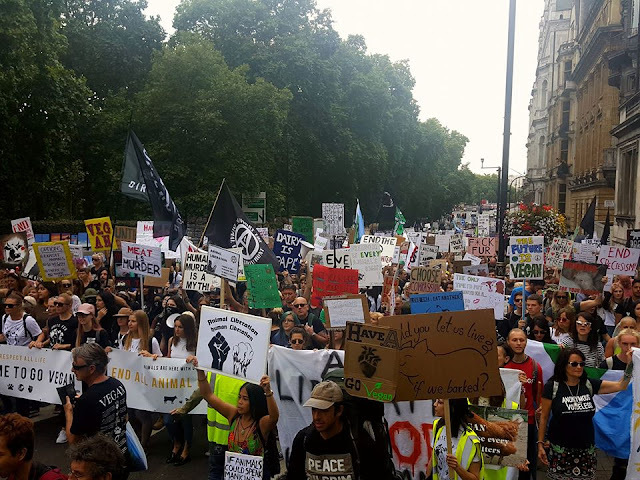 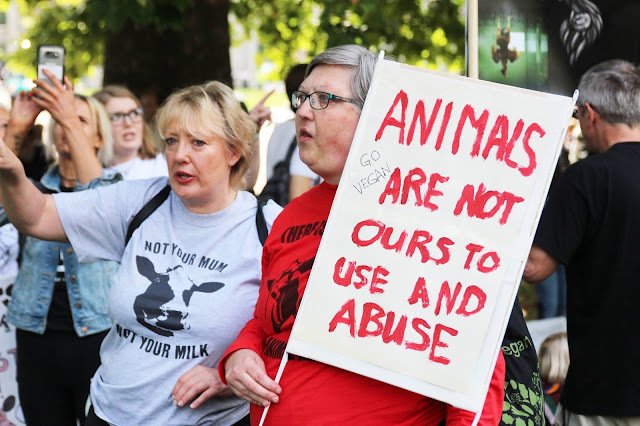 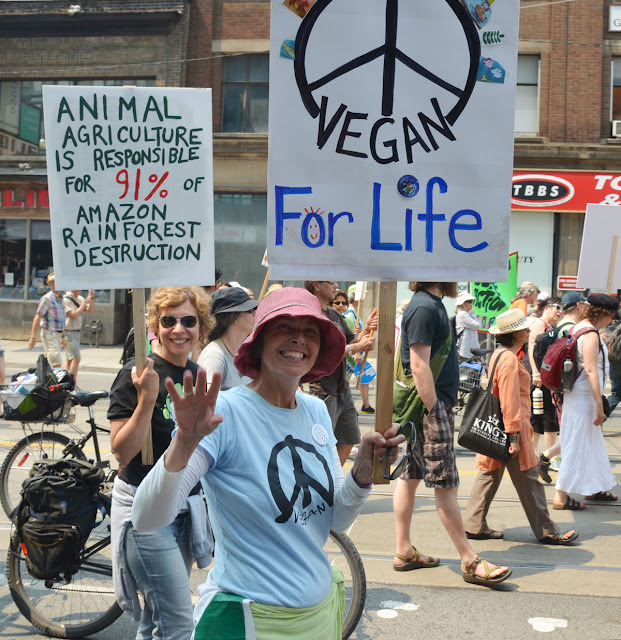 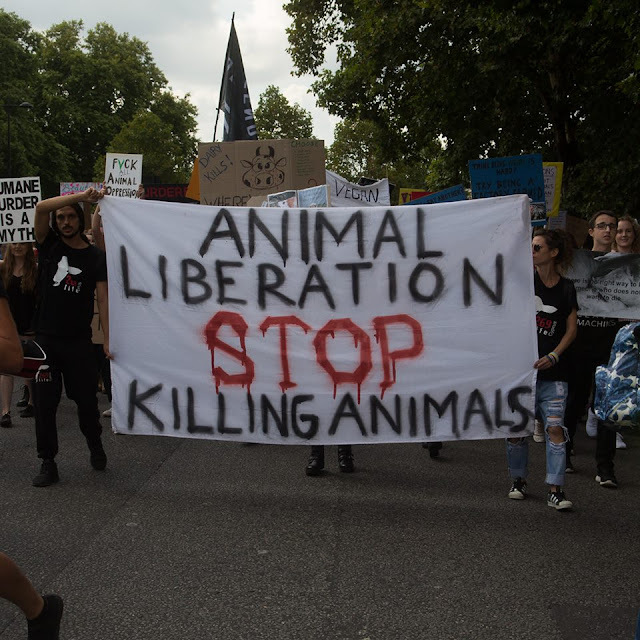 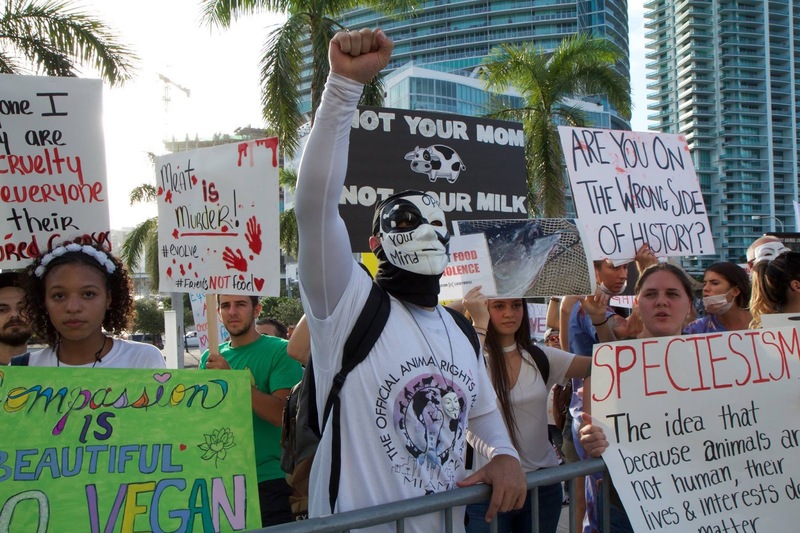 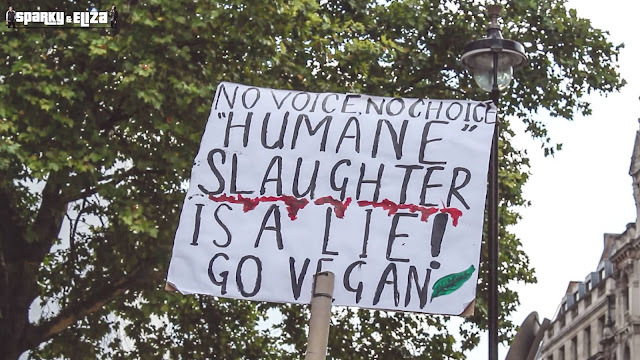 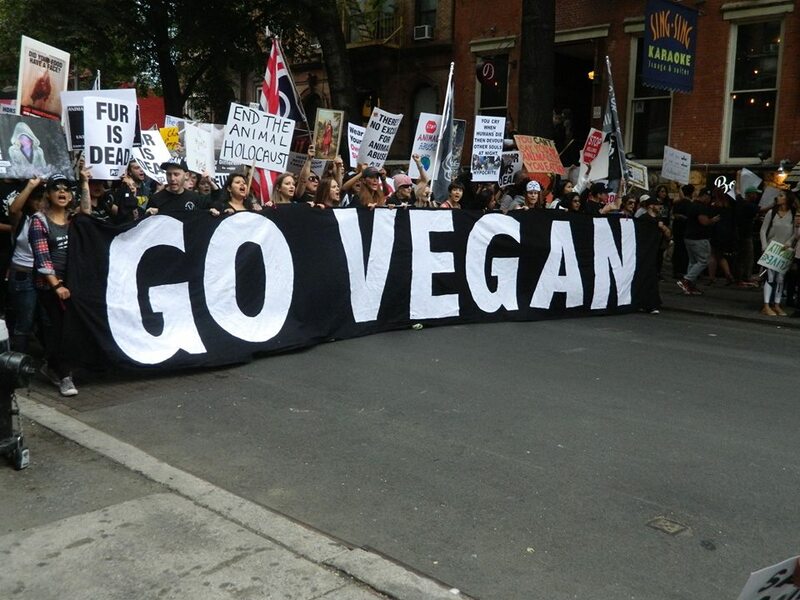 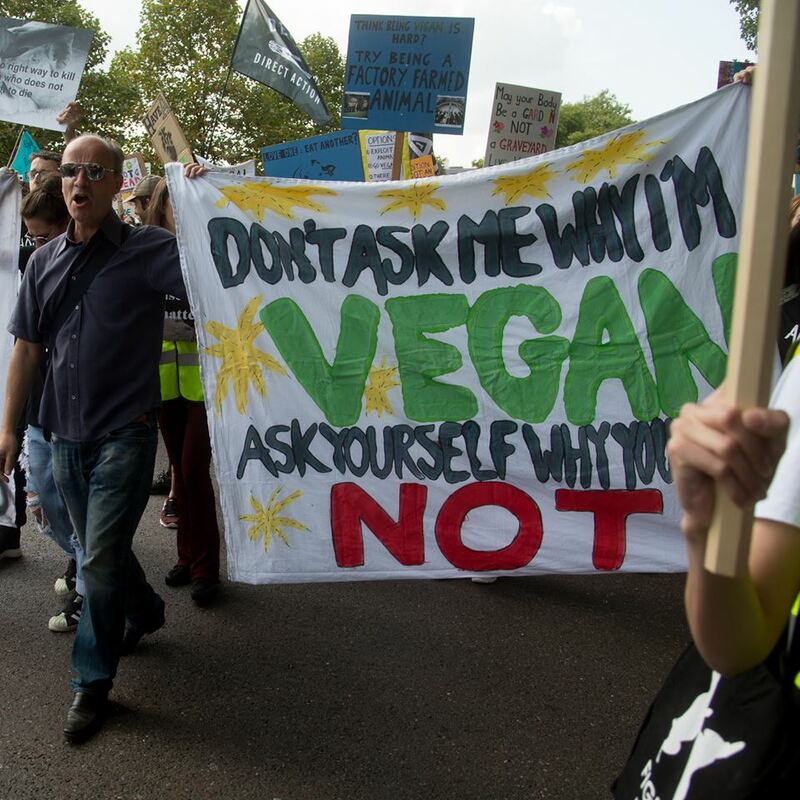 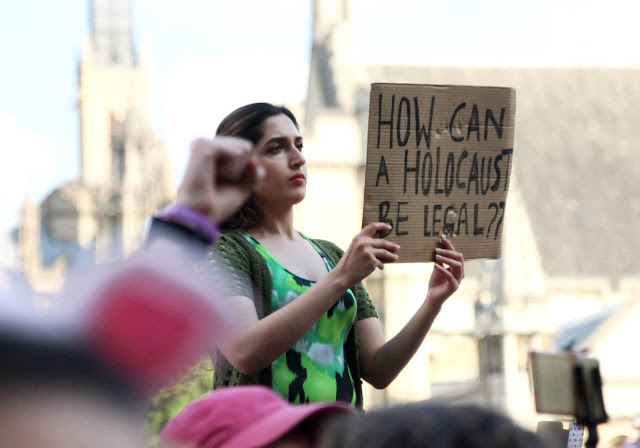 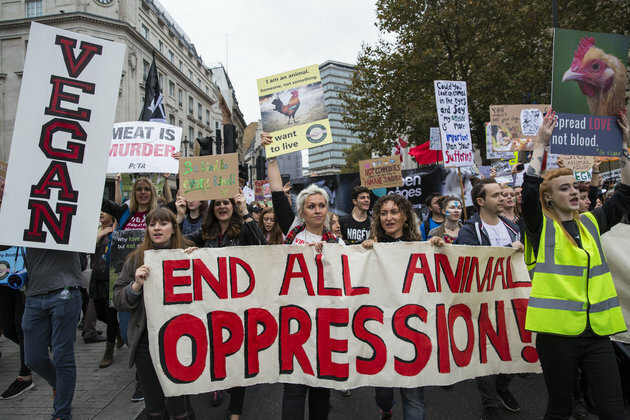 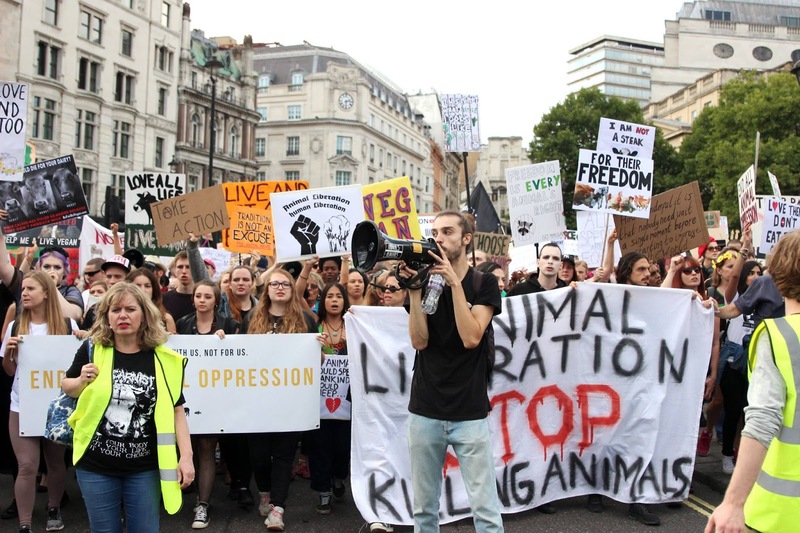 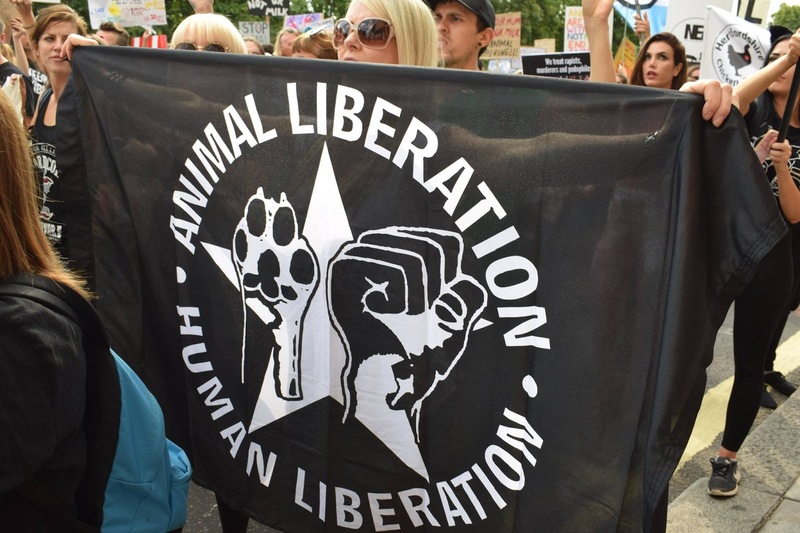 ... activists marched in the 'Official Animal Rights March'. 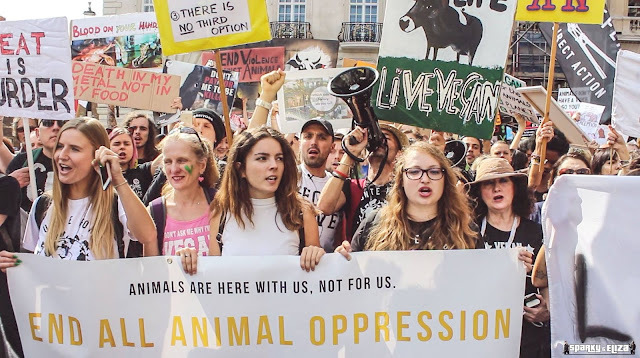 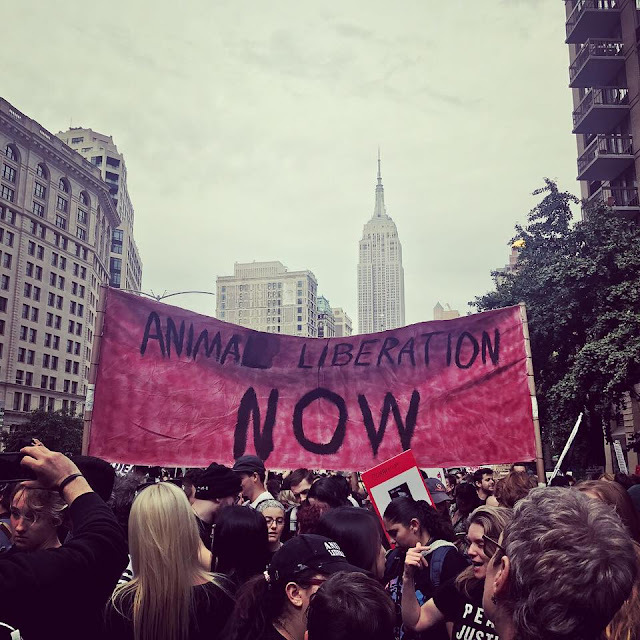 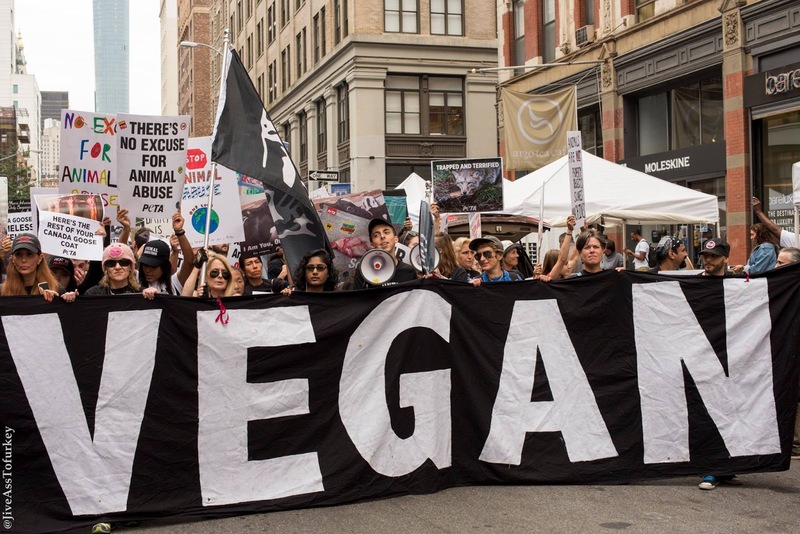 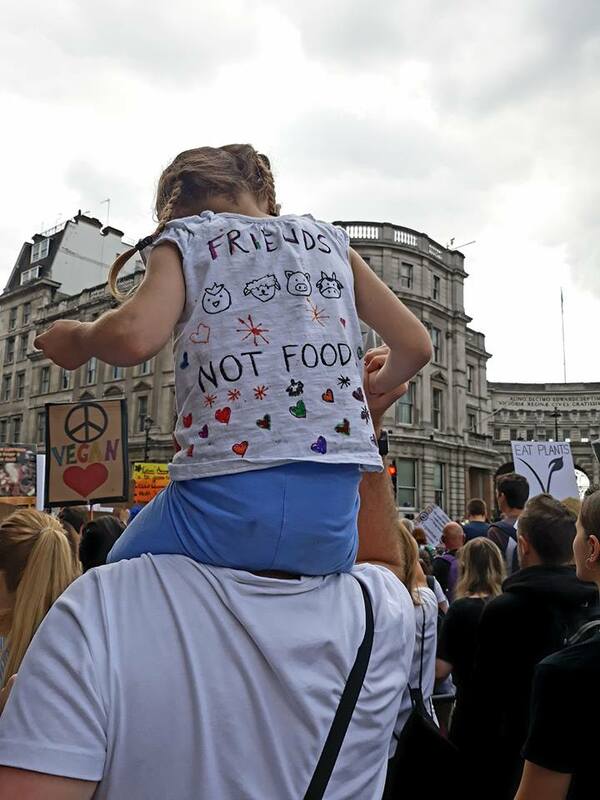 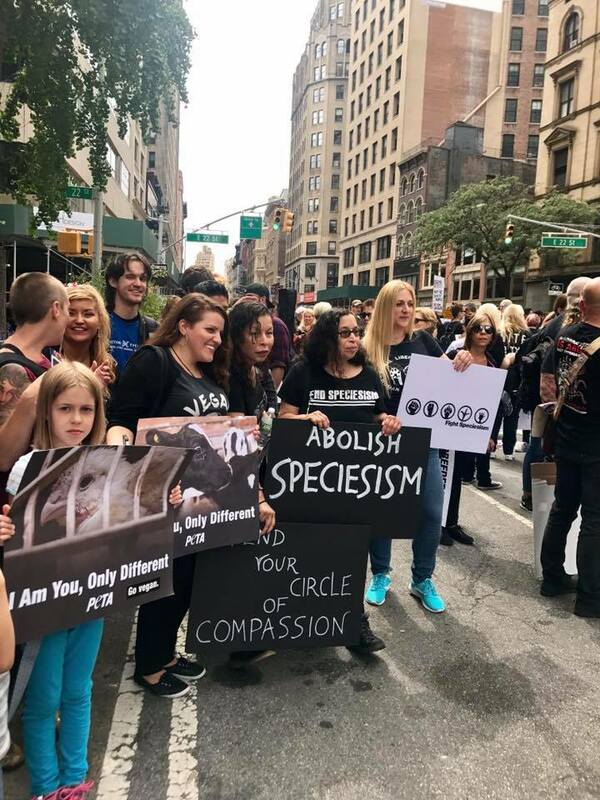 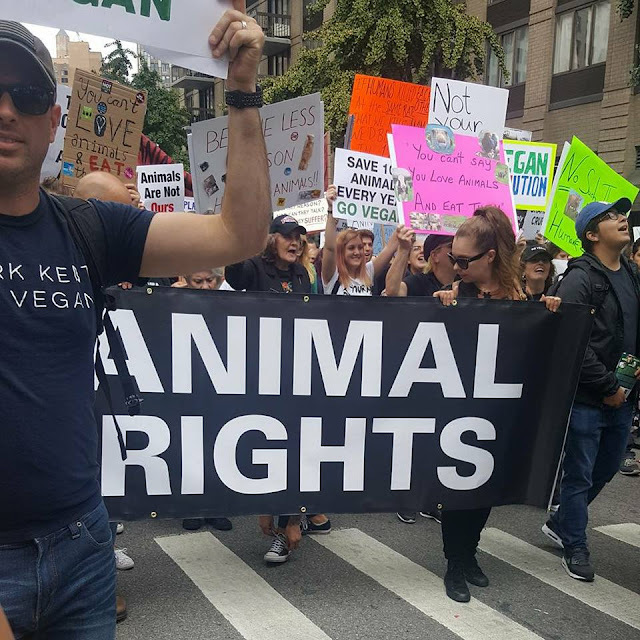 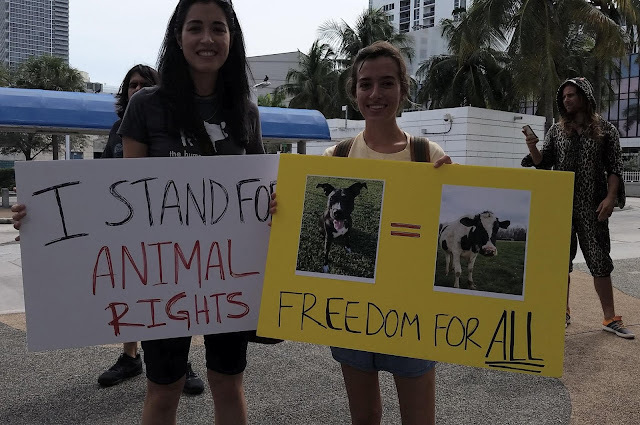 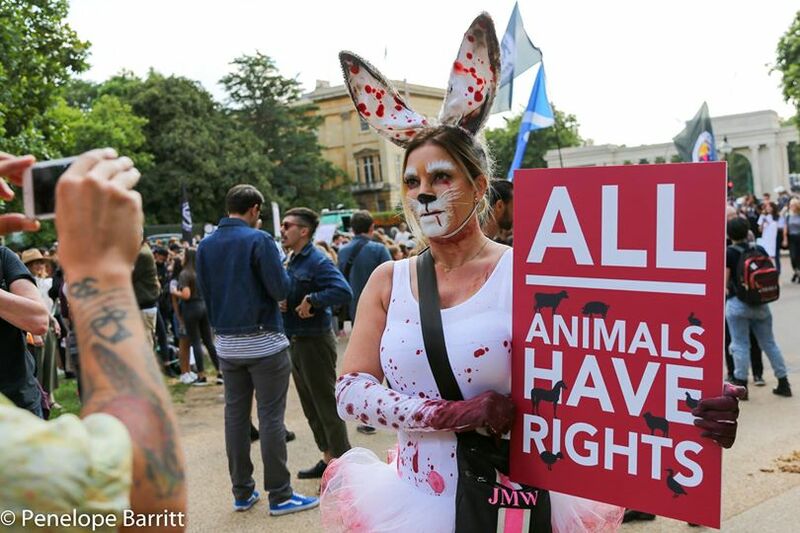 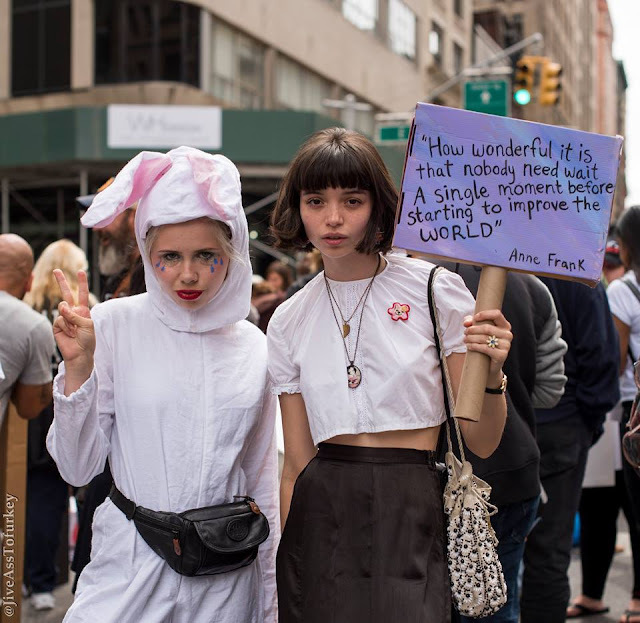 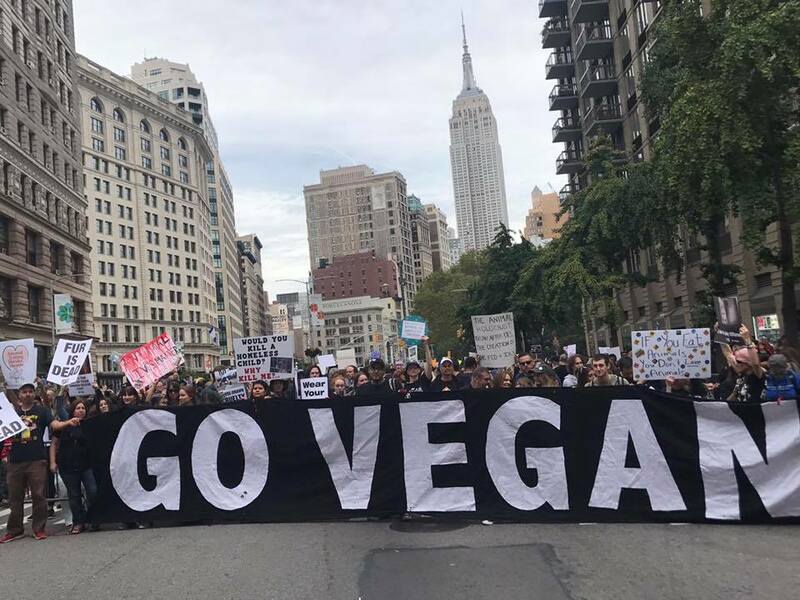 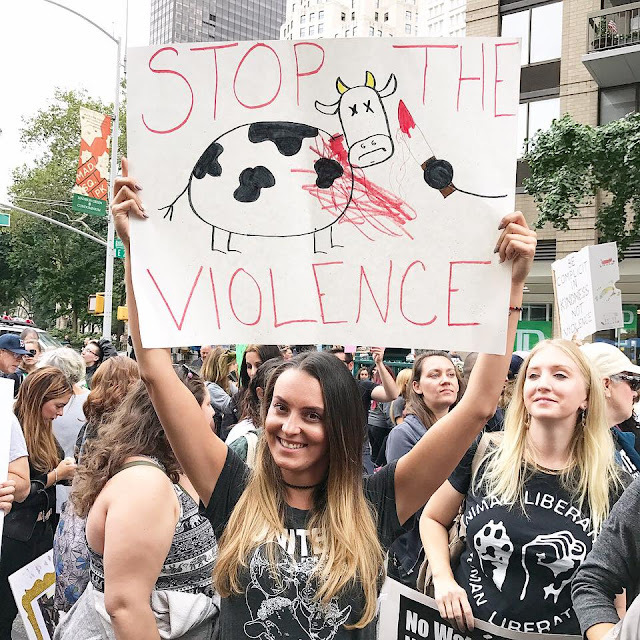 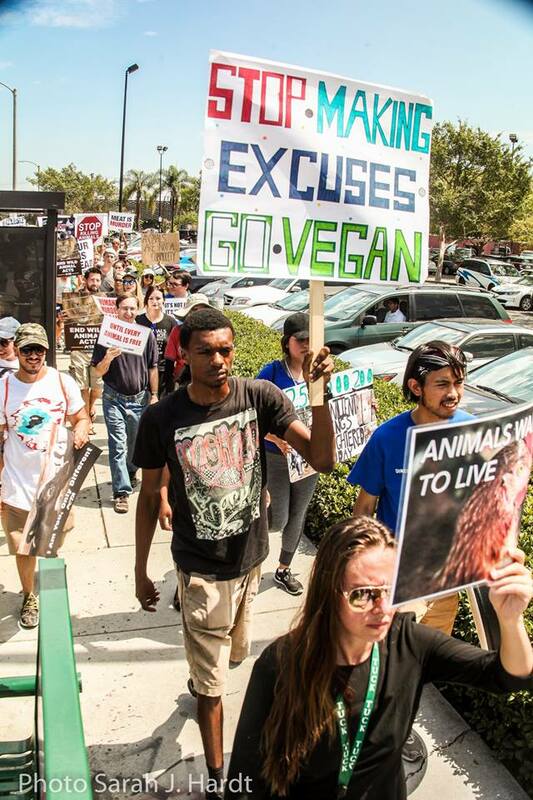 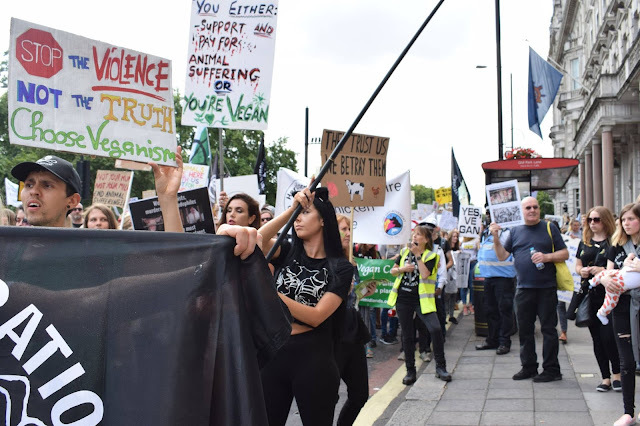 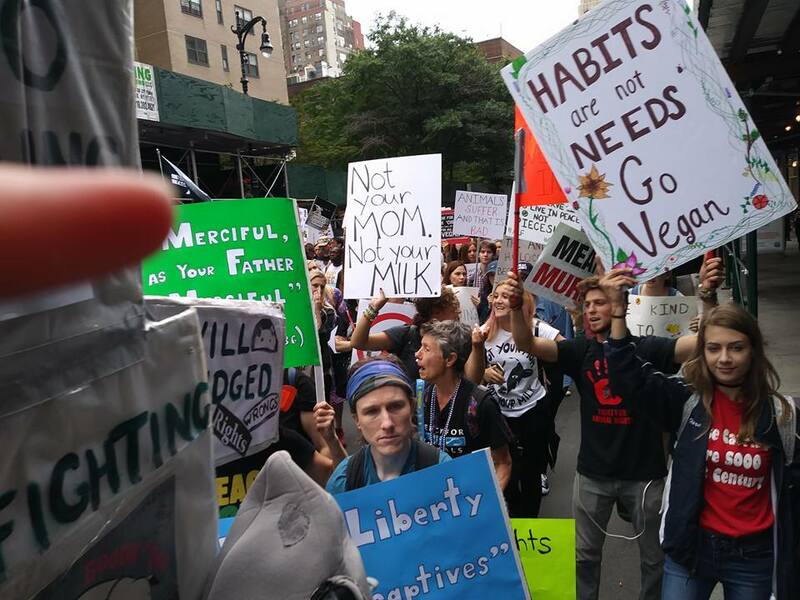 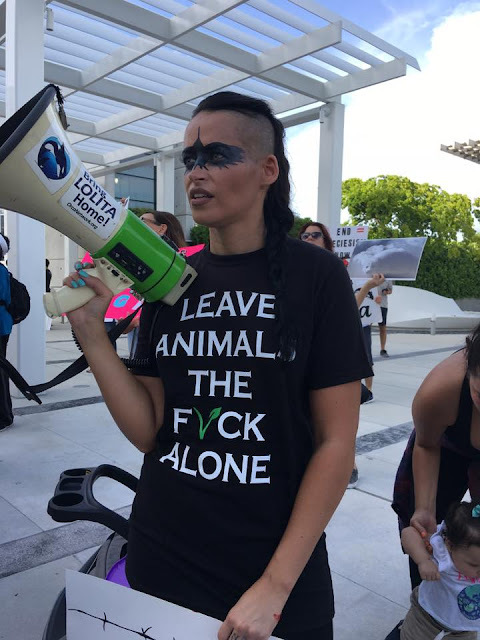 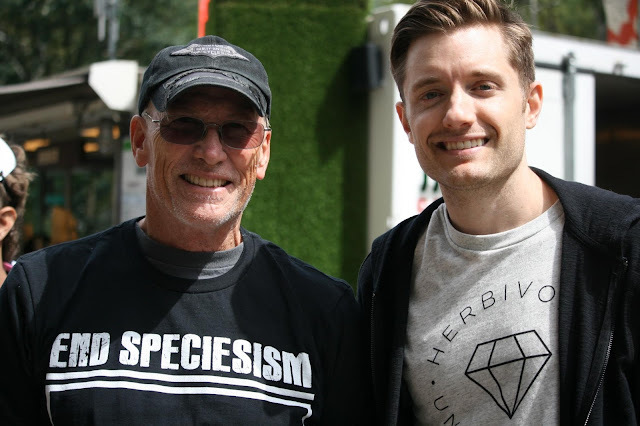 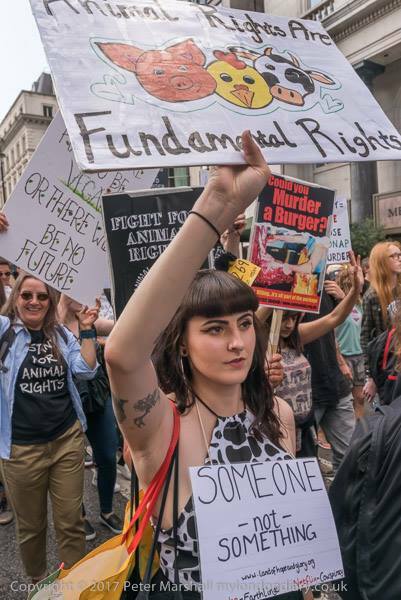 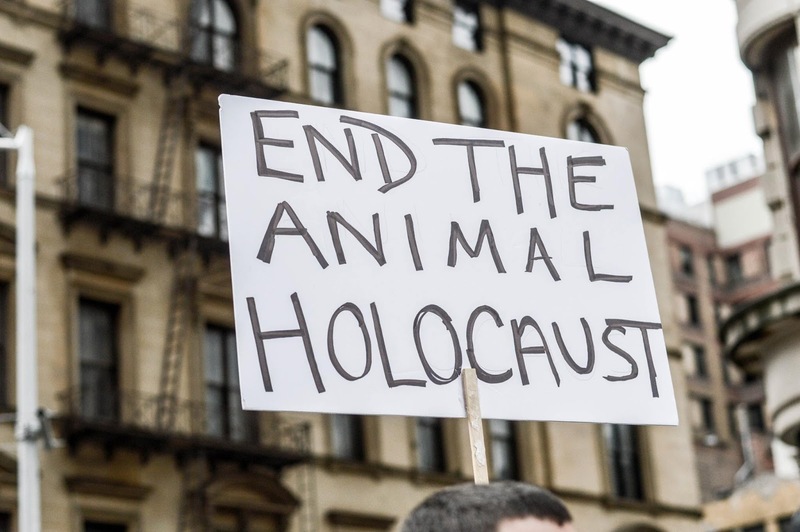 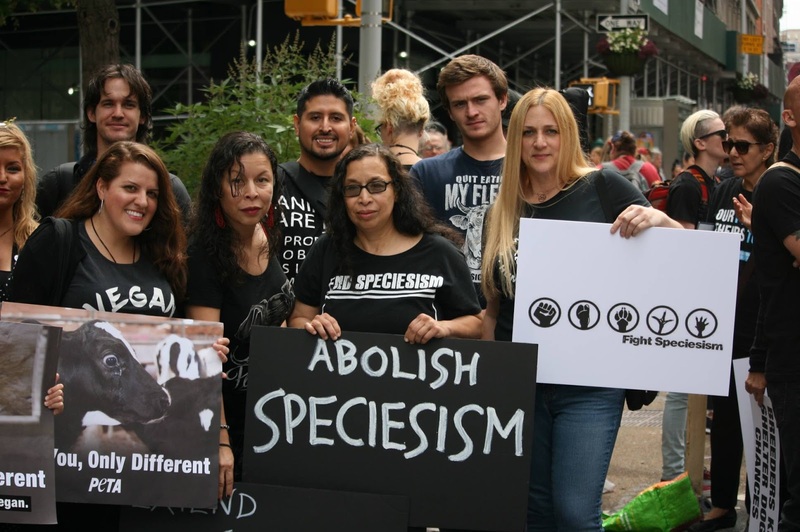 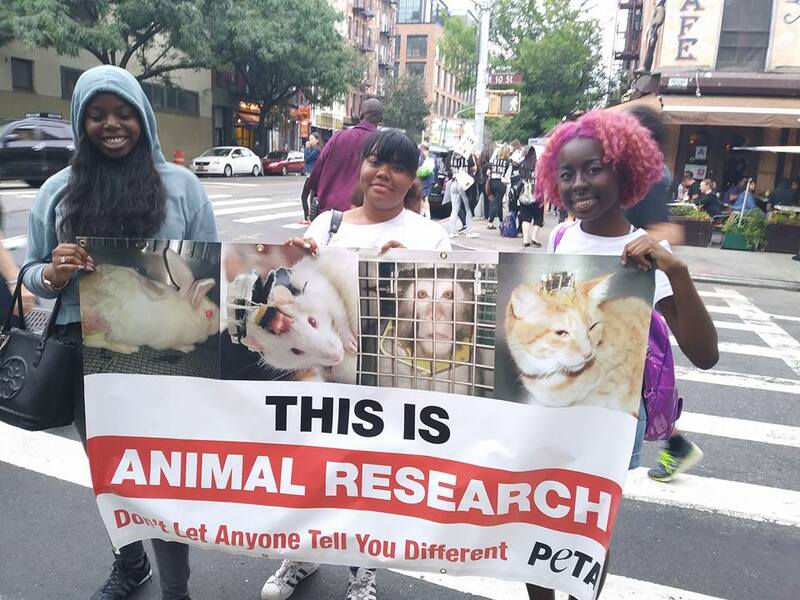 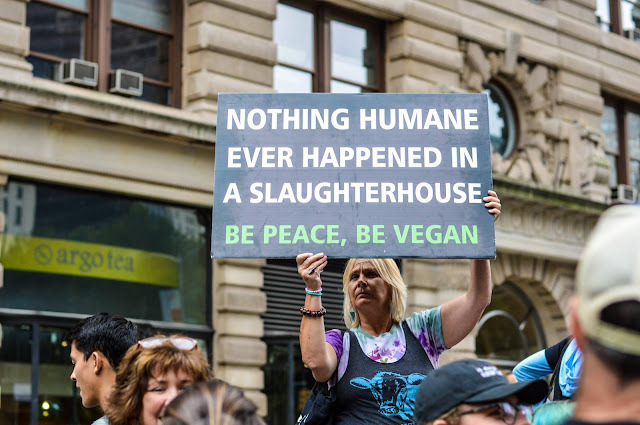 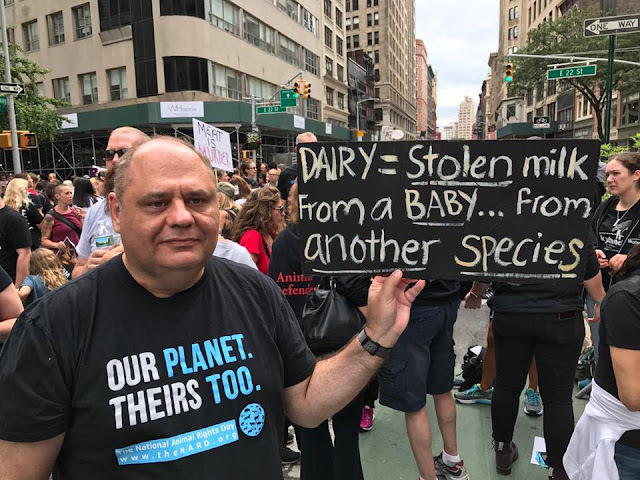 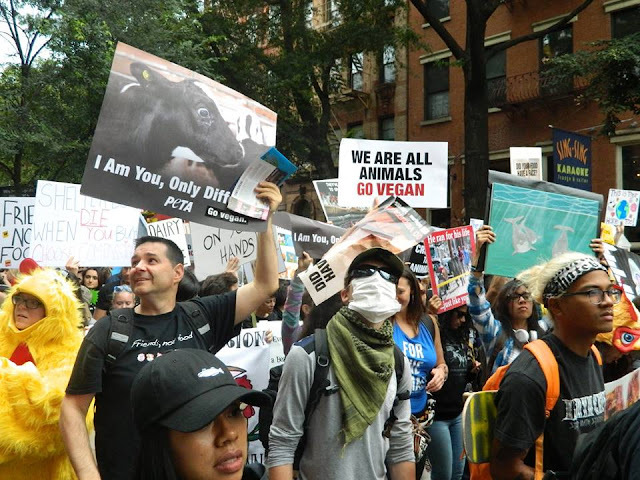 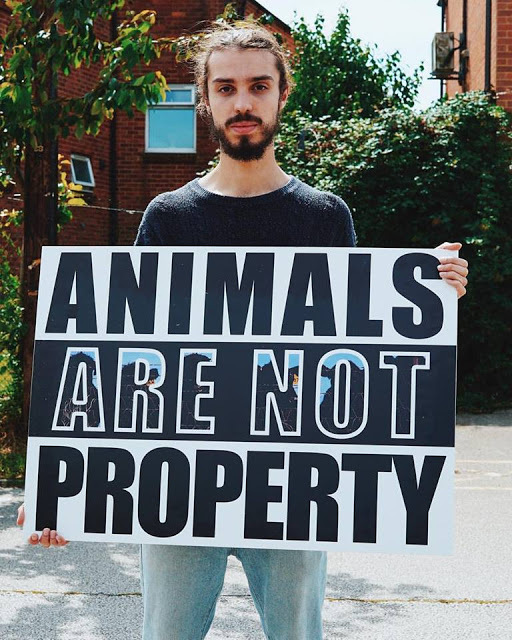 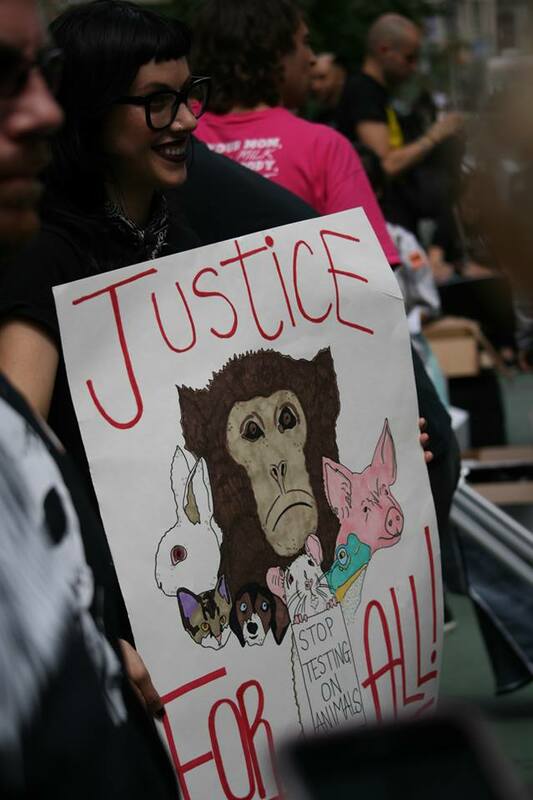 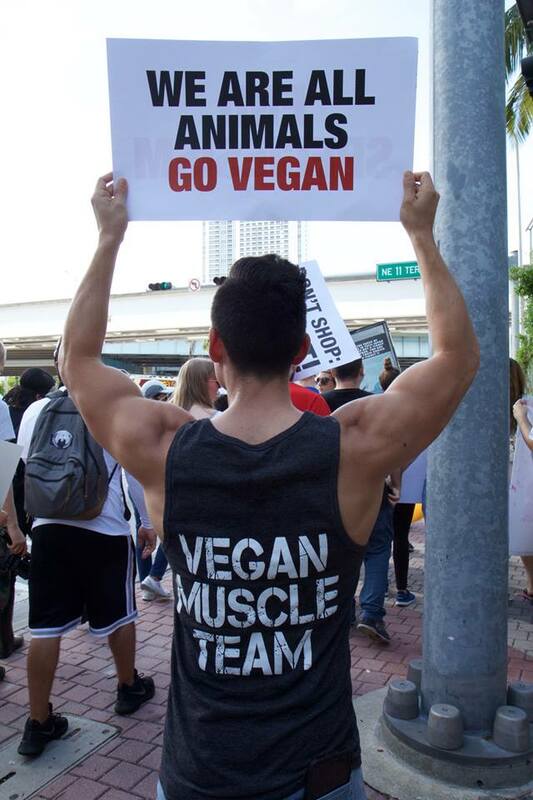 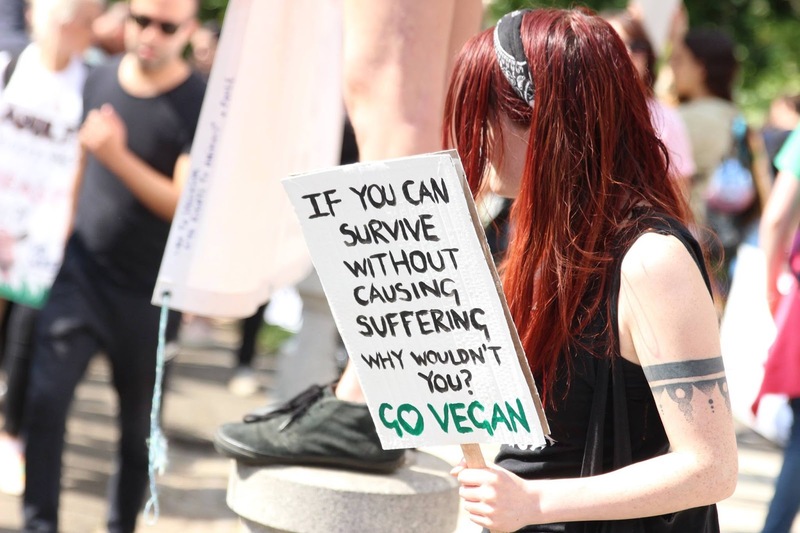 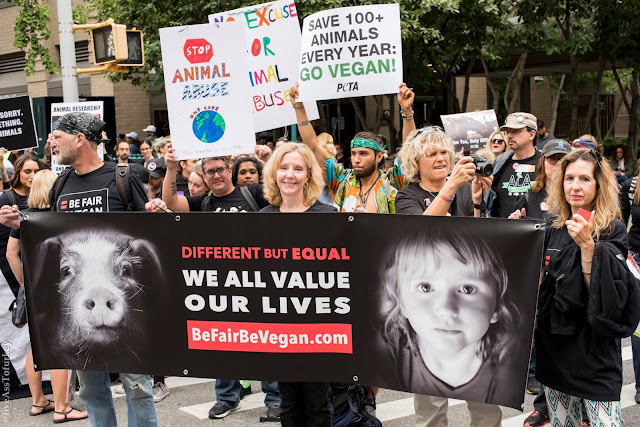 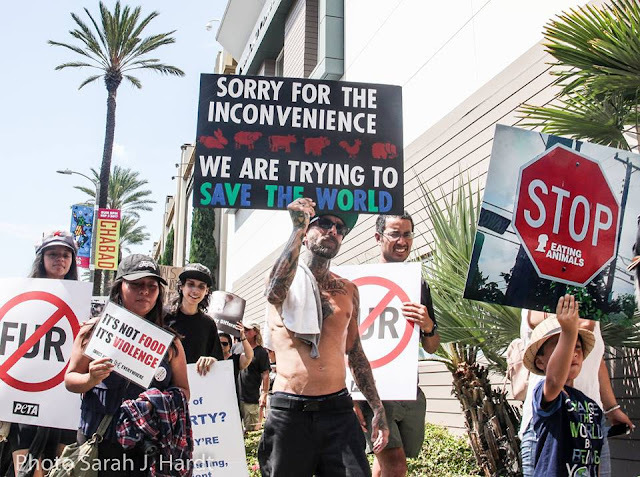 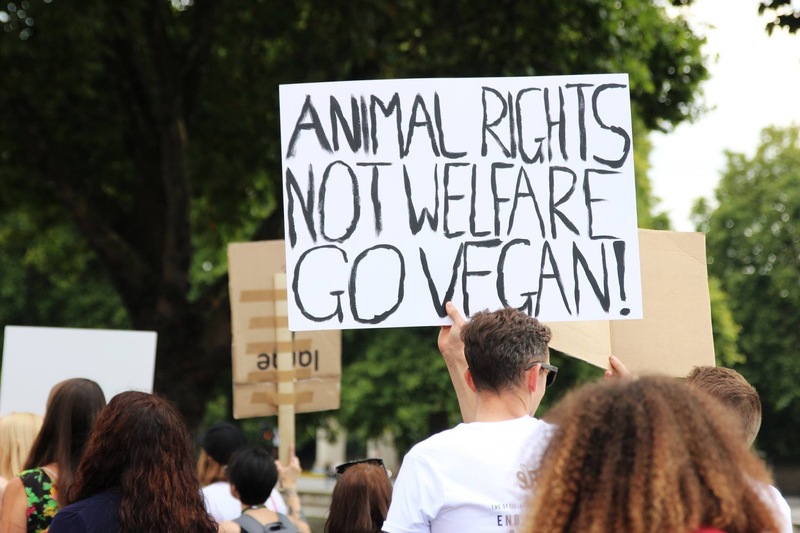 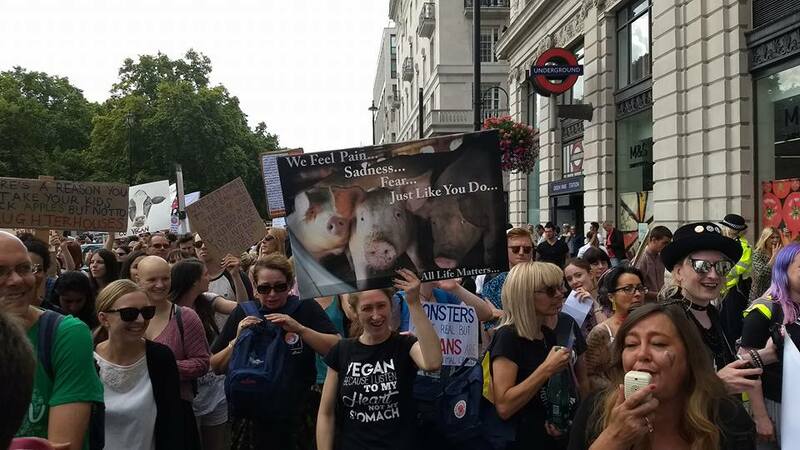 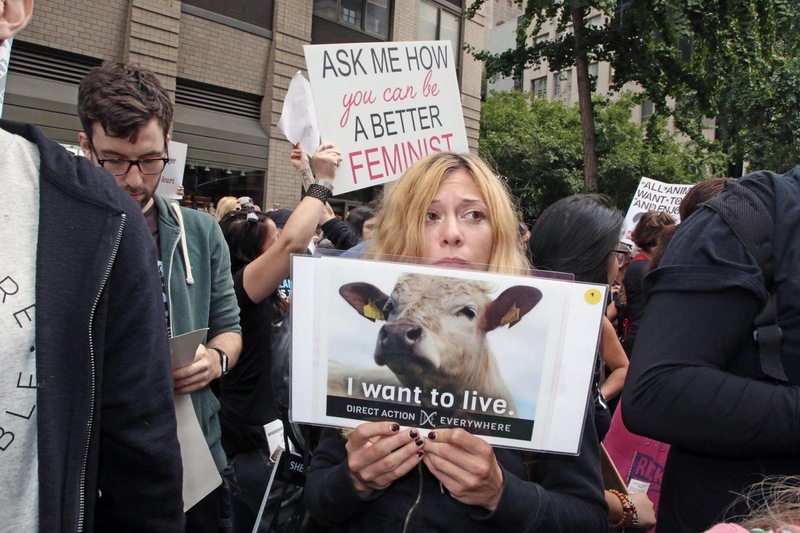 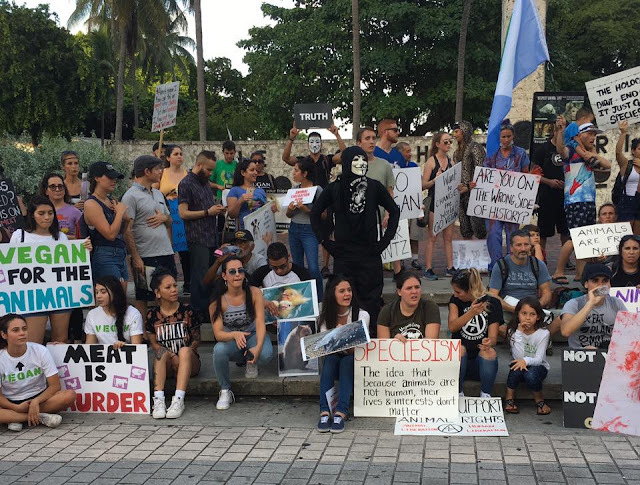 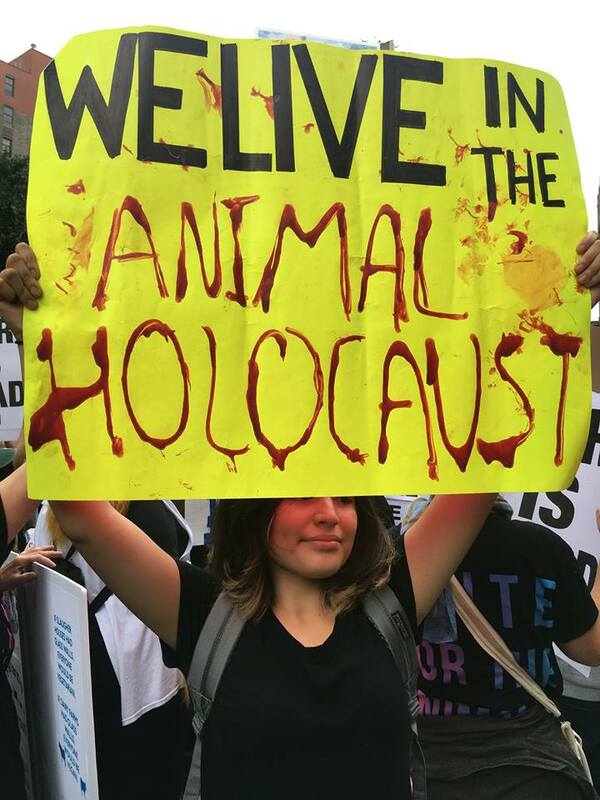 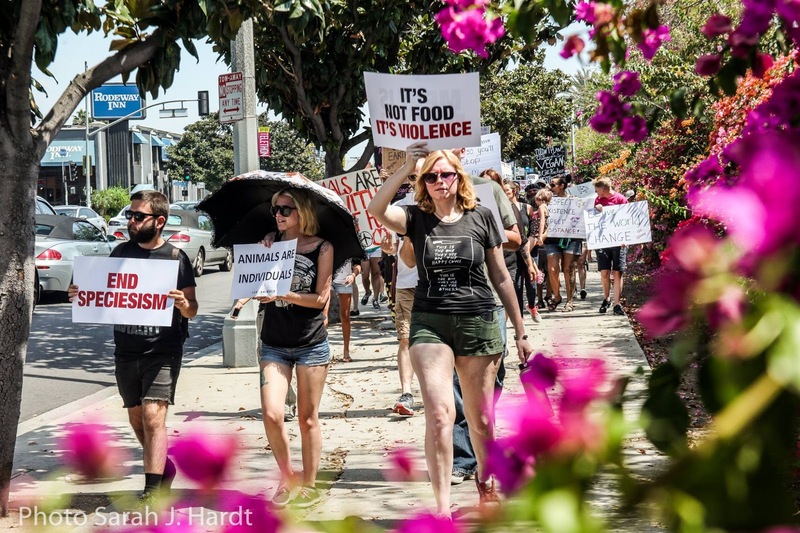 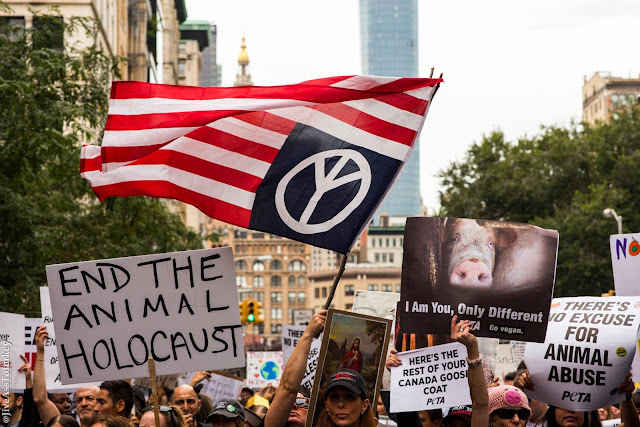 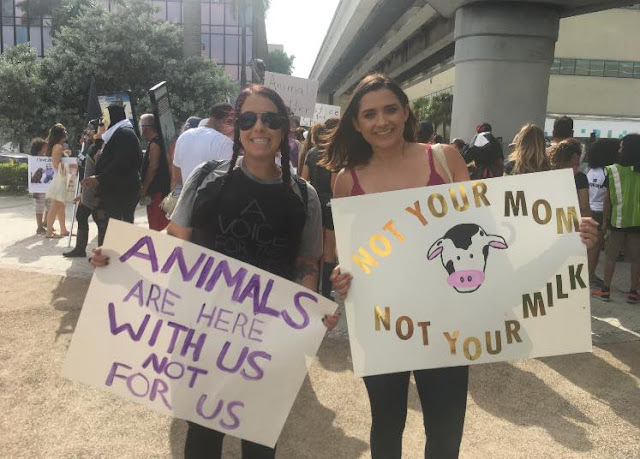 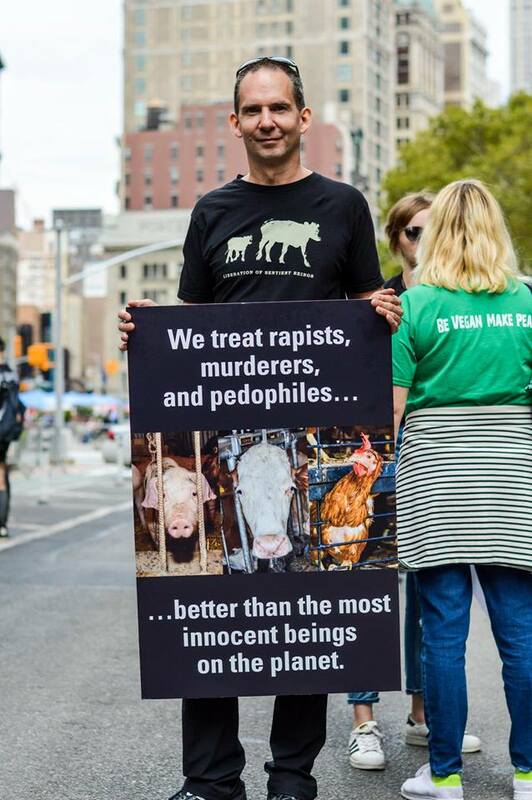 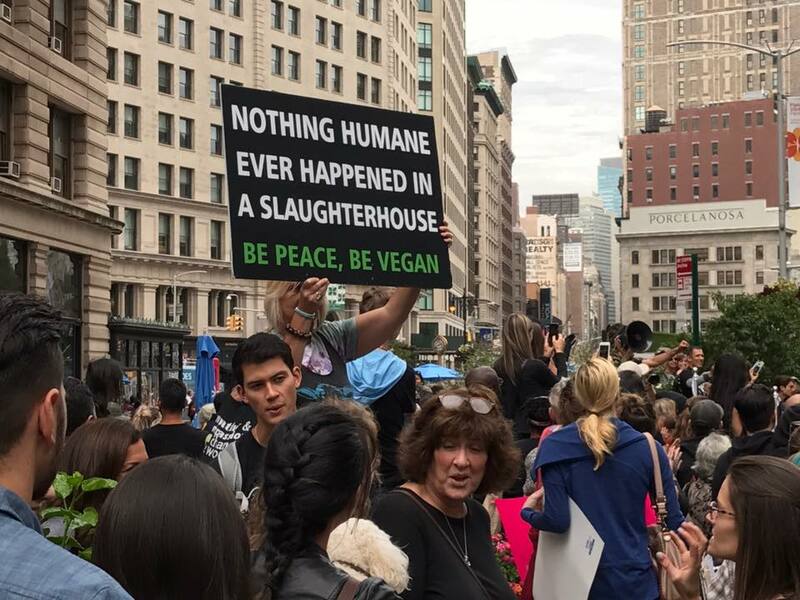 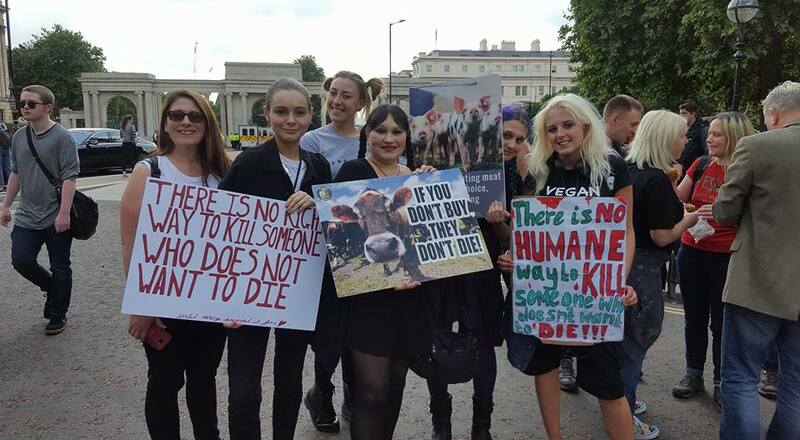 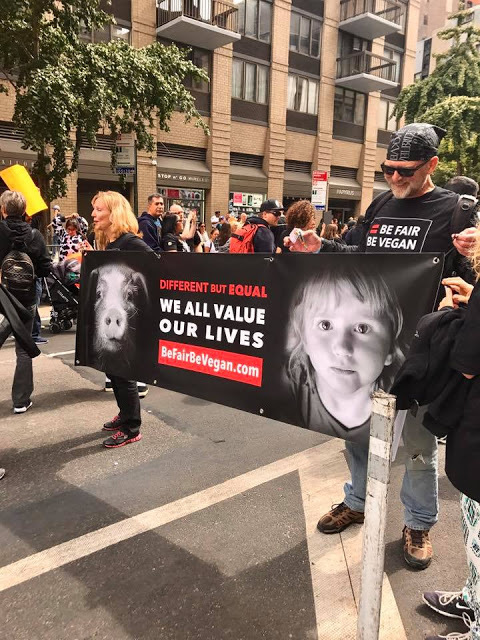 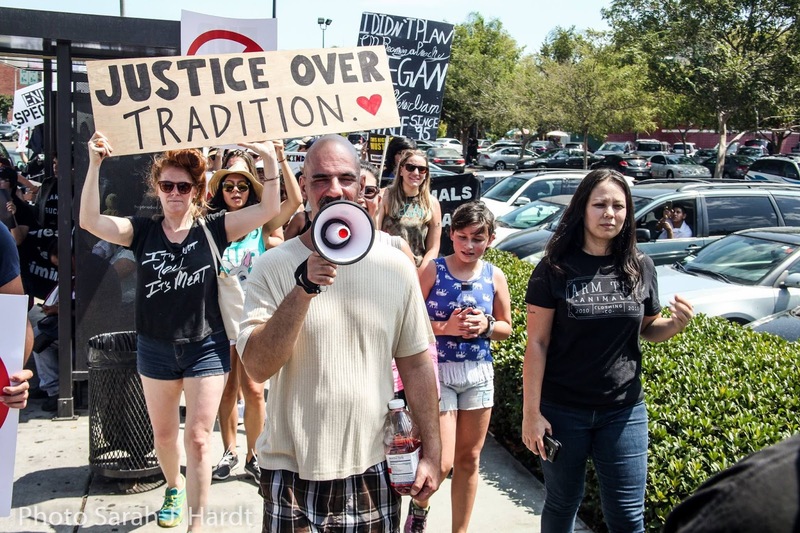 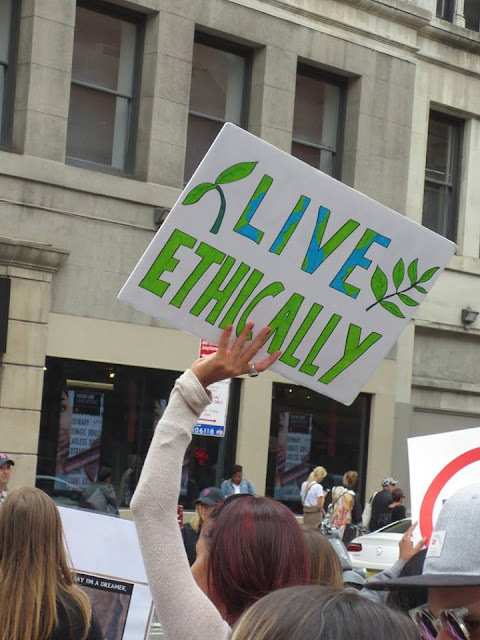 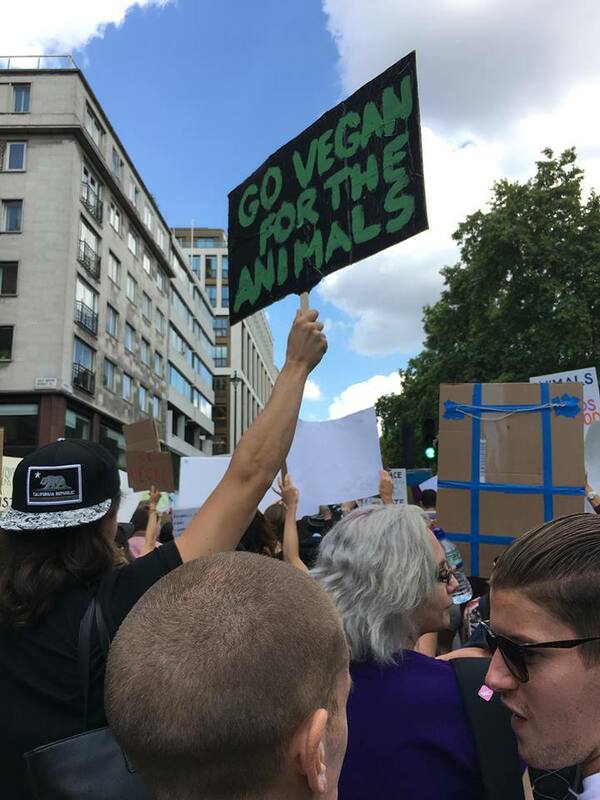 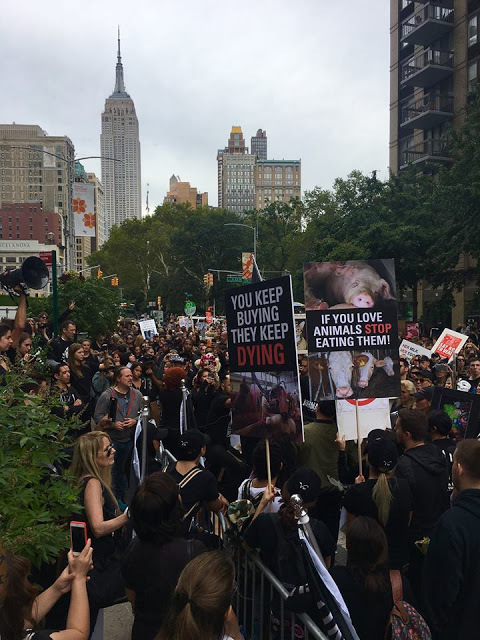 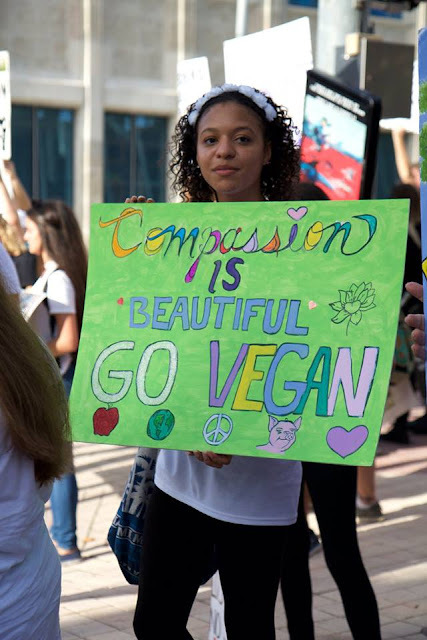 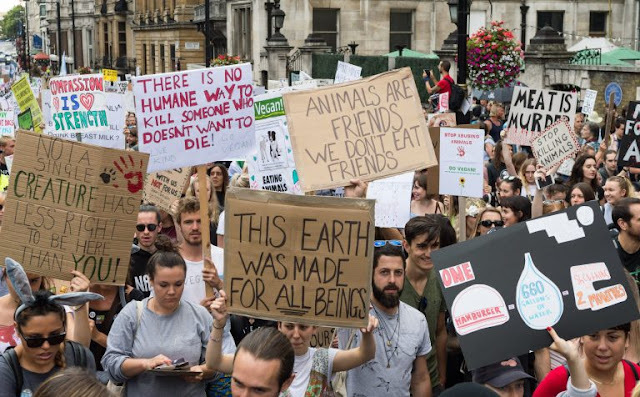 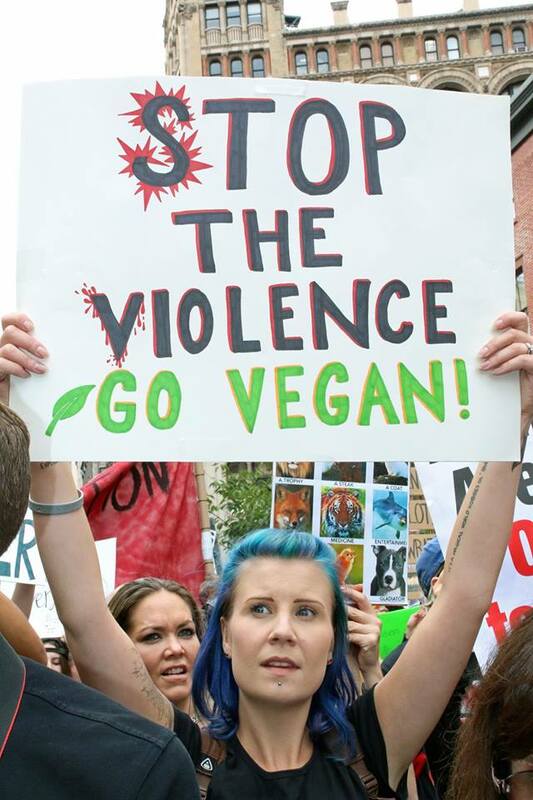 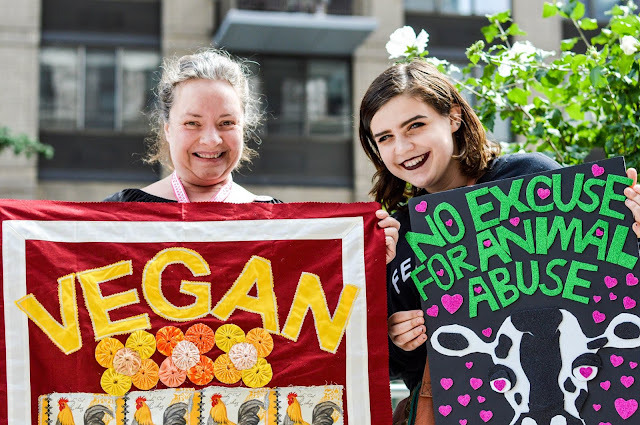 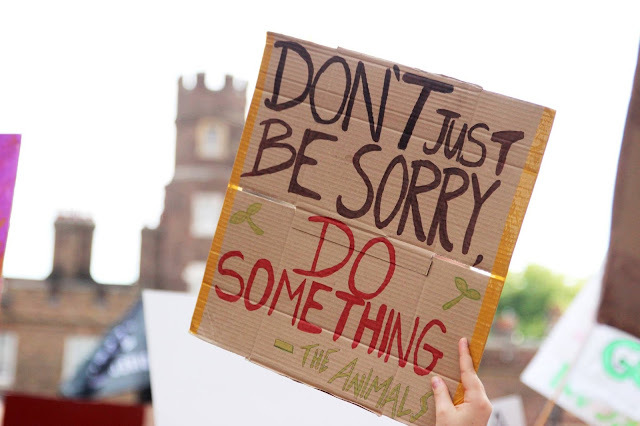 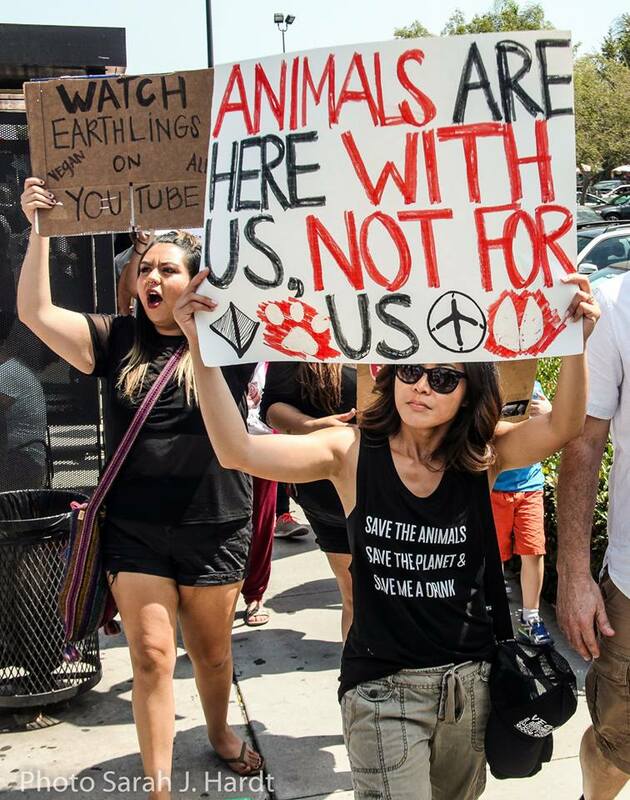 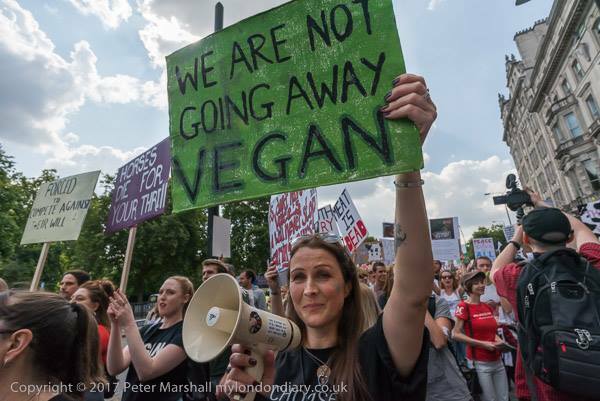 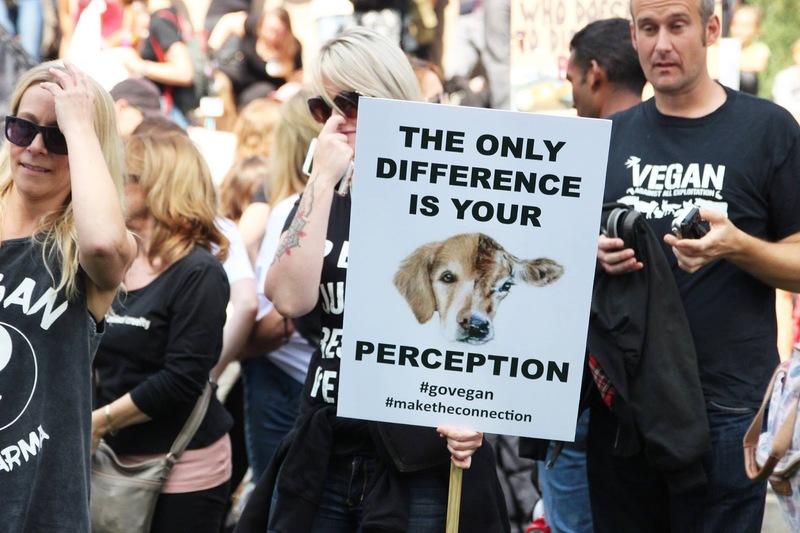 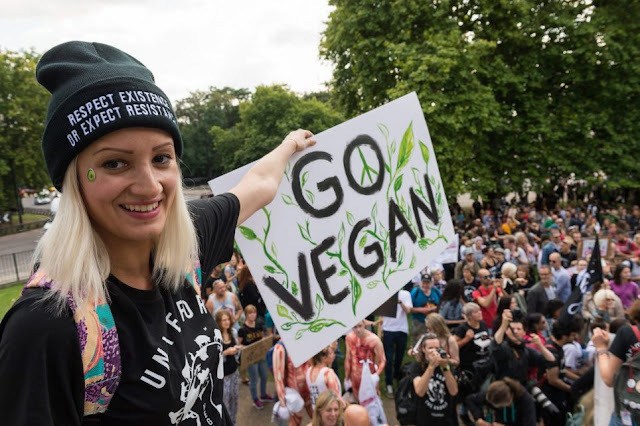 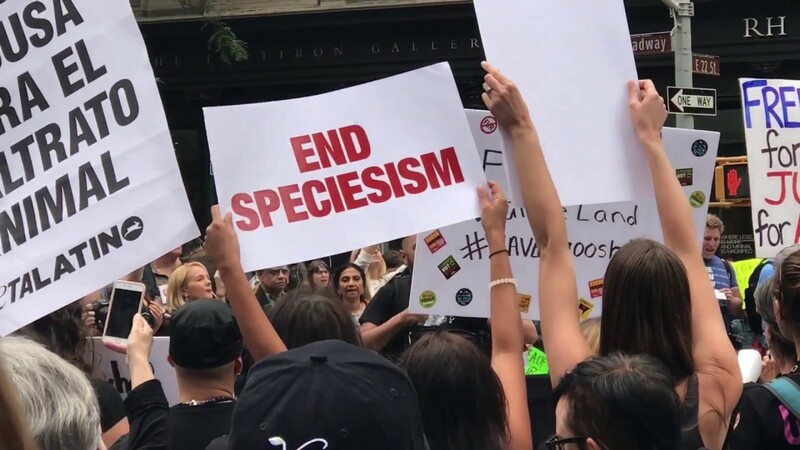 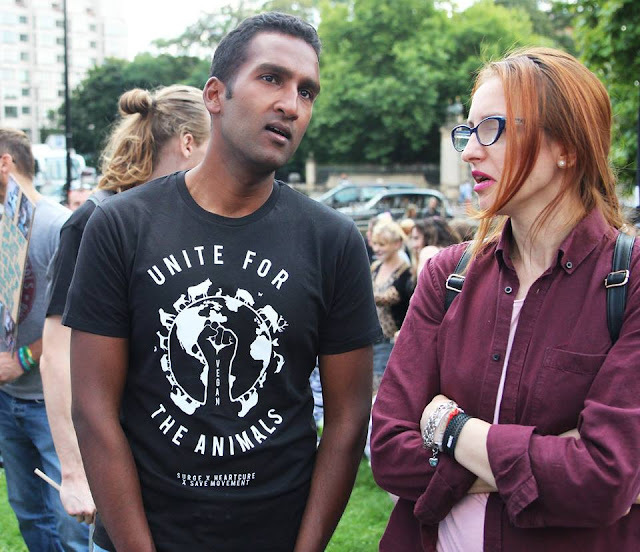 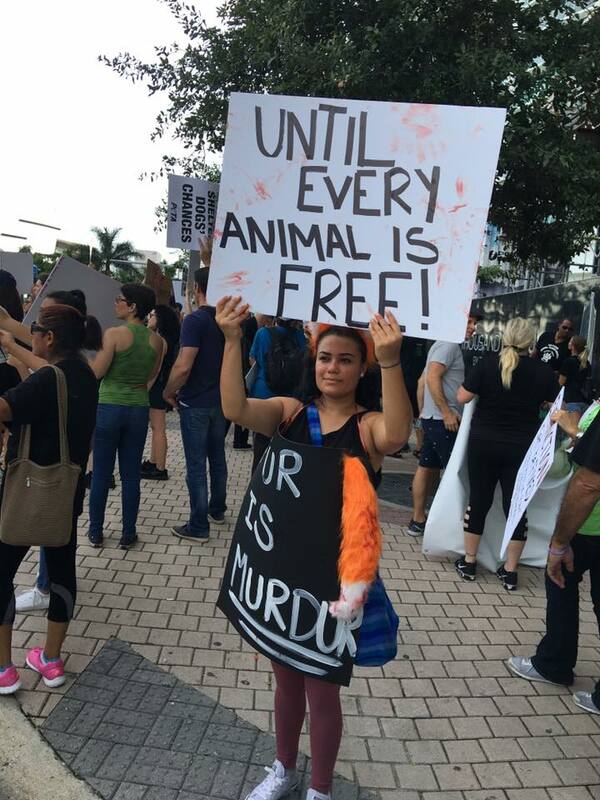 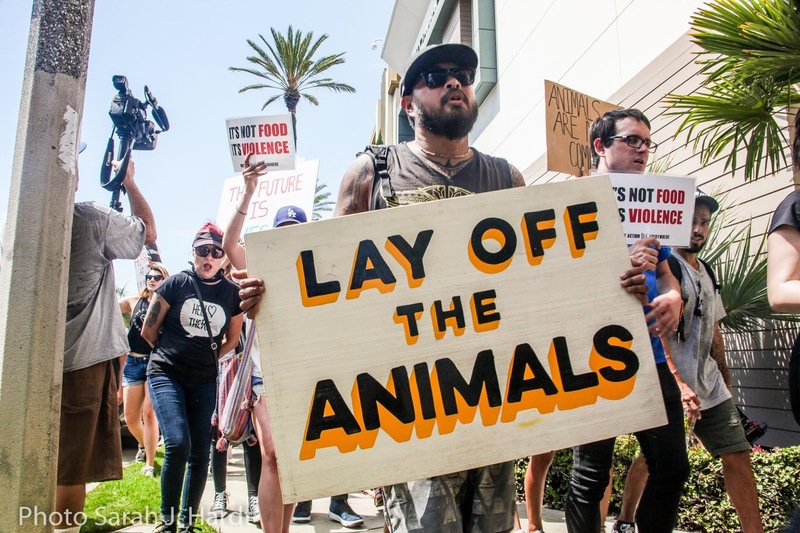 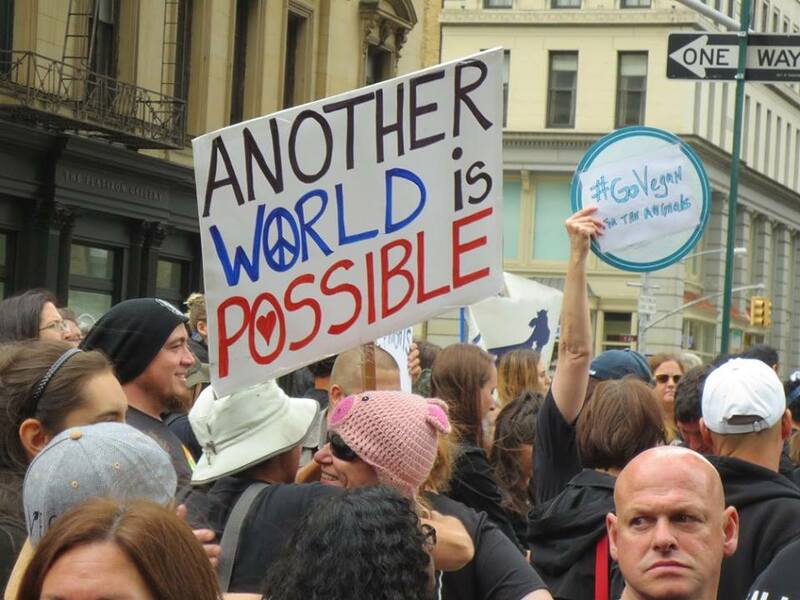 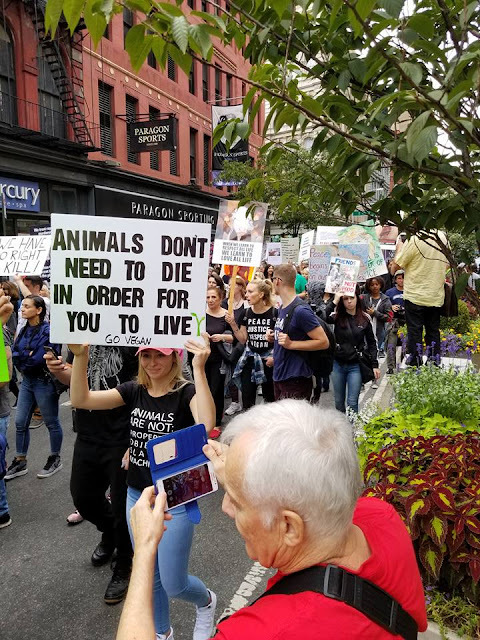 Taken from various marches around the world, here are some digital moments: awesome signs and activists united for animal rights. 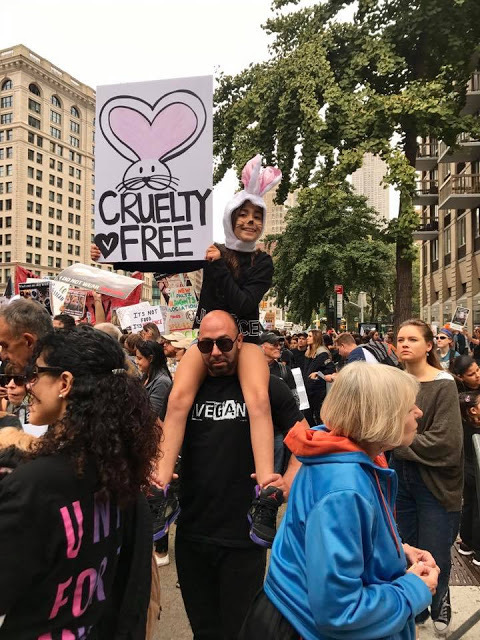 This is so beautiful....it made me cry grateful tears. 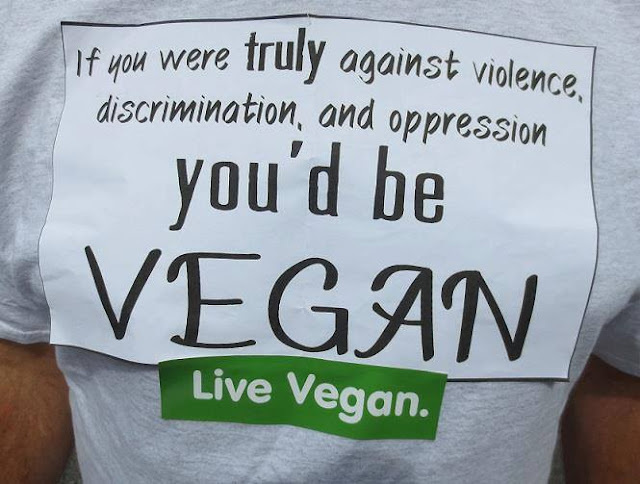 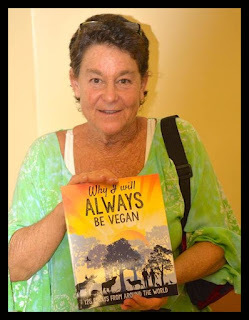 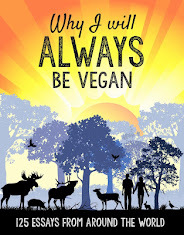 After 40 years of working on animal rights, I finally feel a tipping point coming. 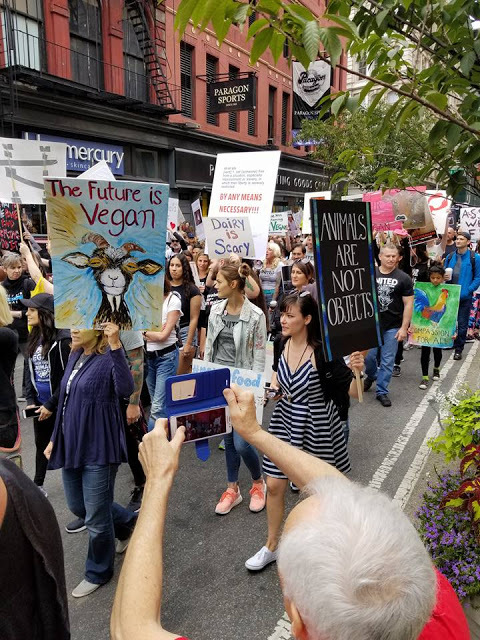 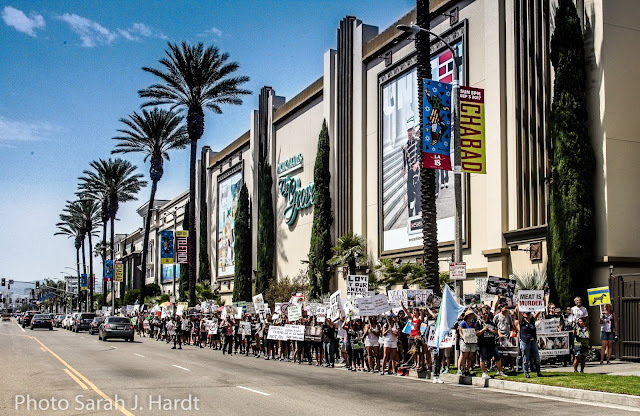 Thank you thank you thank you for these photos and to everyone who marched. 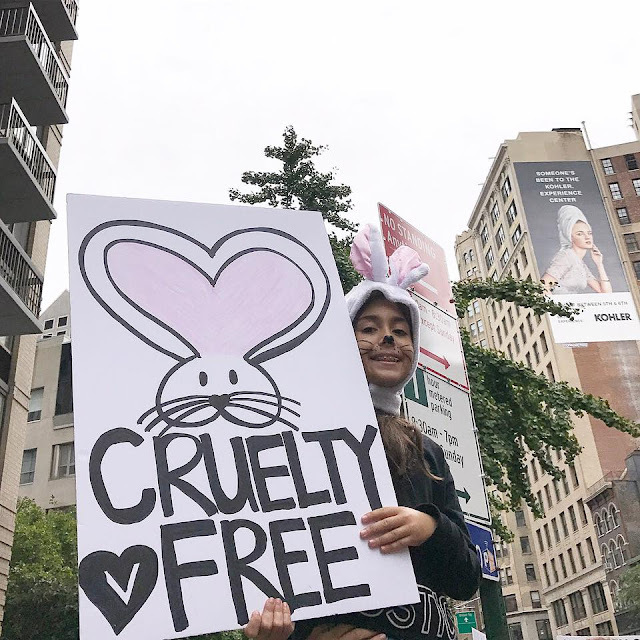 This is so exciting to see! 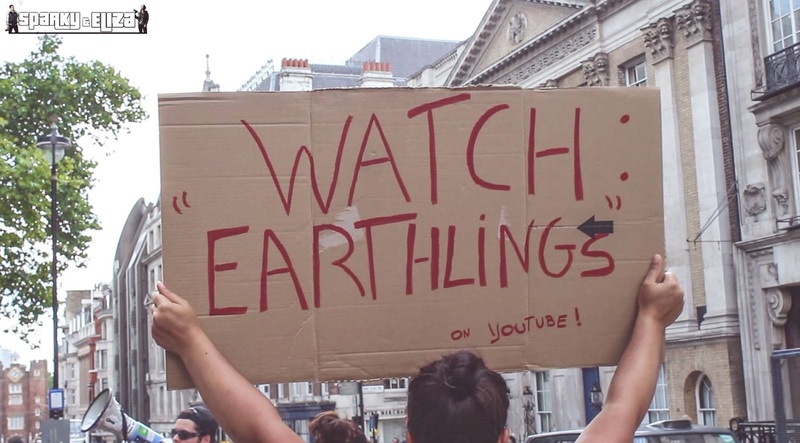 We are growing by leaps and bounds! 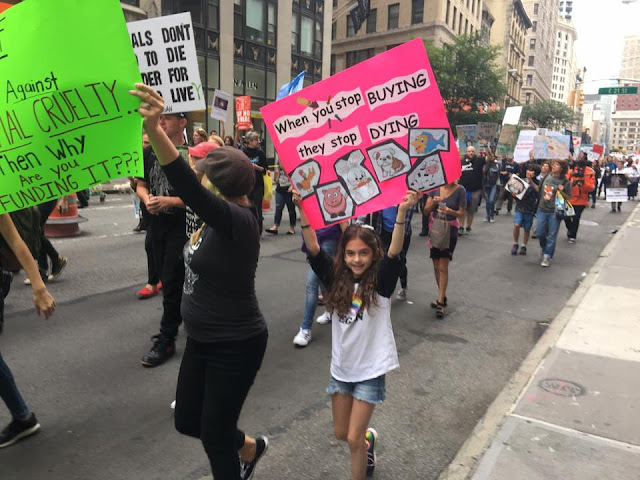 Thank you, Butterflies, for posting all these signs. I will spread them around. Every day I pray for a world in which ALL of His (!) 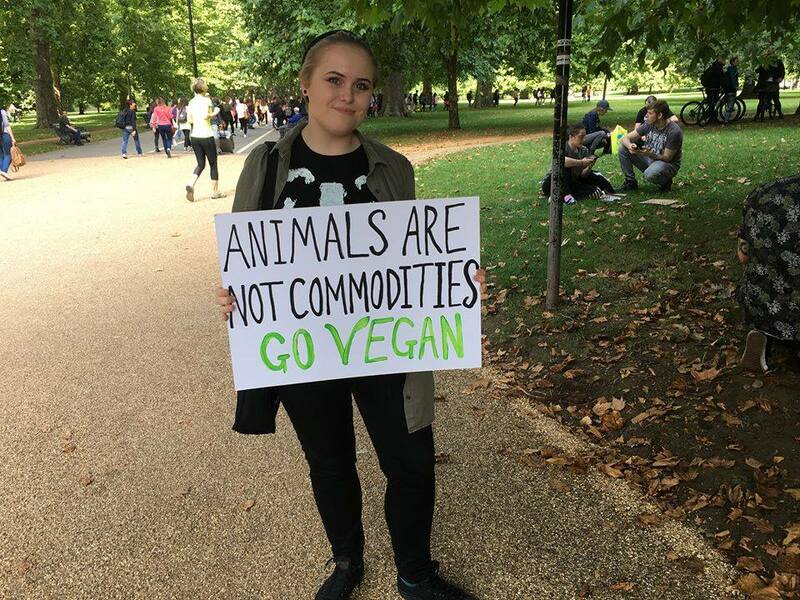 Creatures (!) live free and in harmony and don't fear, hurt or kill, but help each other and in which ALL are happy and feel safe and so also we finally get close/r to Him again (isn't this what we intended to do, didn't we want to 'bring heaven on earth'?). 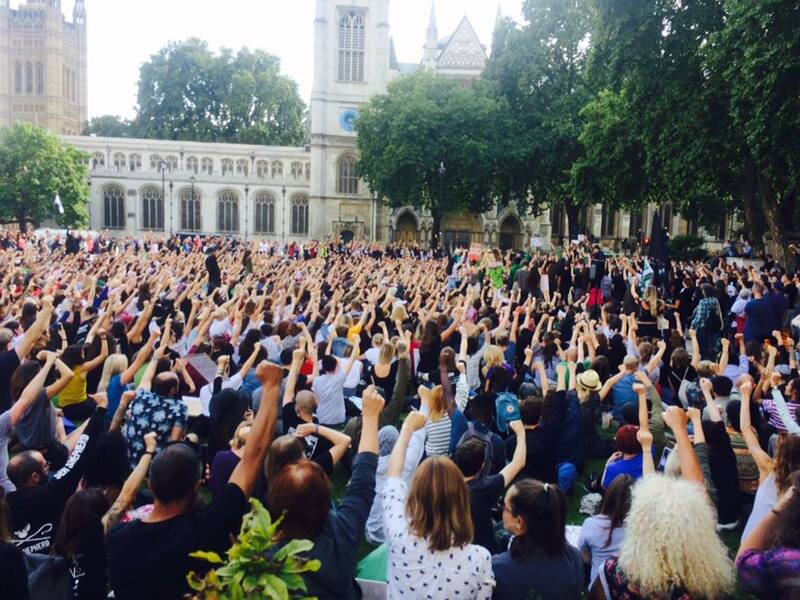 Stunning display of Unity across the world.. The planet is suffering, the animals are suffering...IT HAS TO STOP! 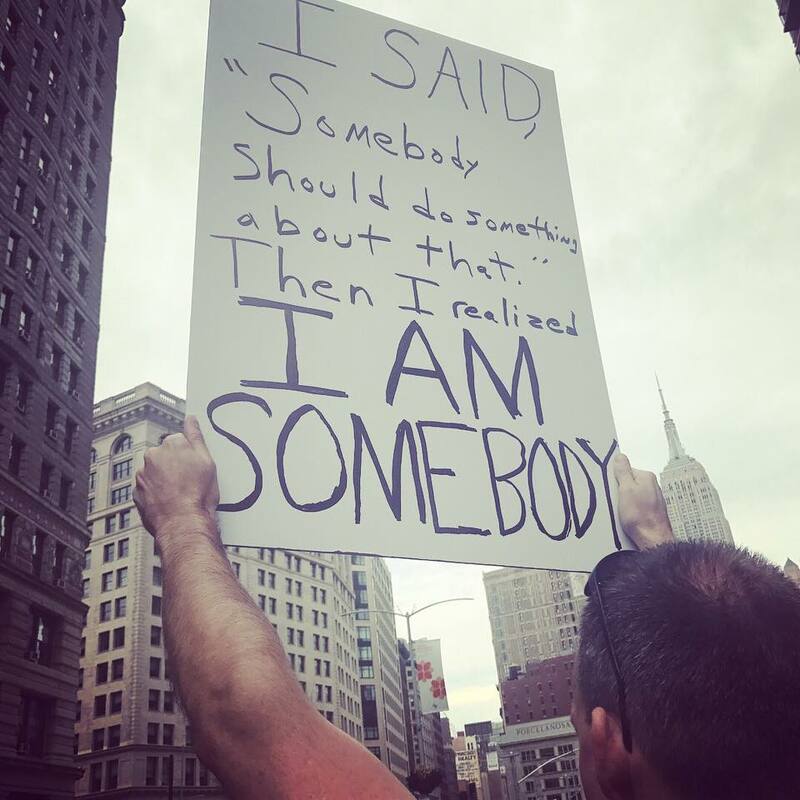 My eyes tear up for images like these. People that cares are doing something to stop violence and injustice for those who cannot defend themselves. 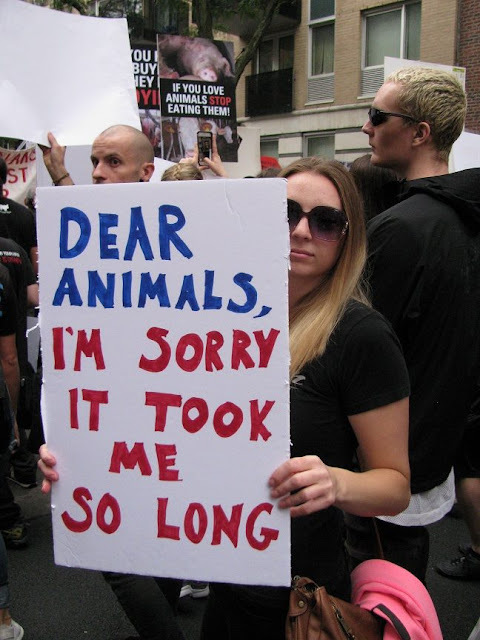 The situation for the animals is heart-wrenching. 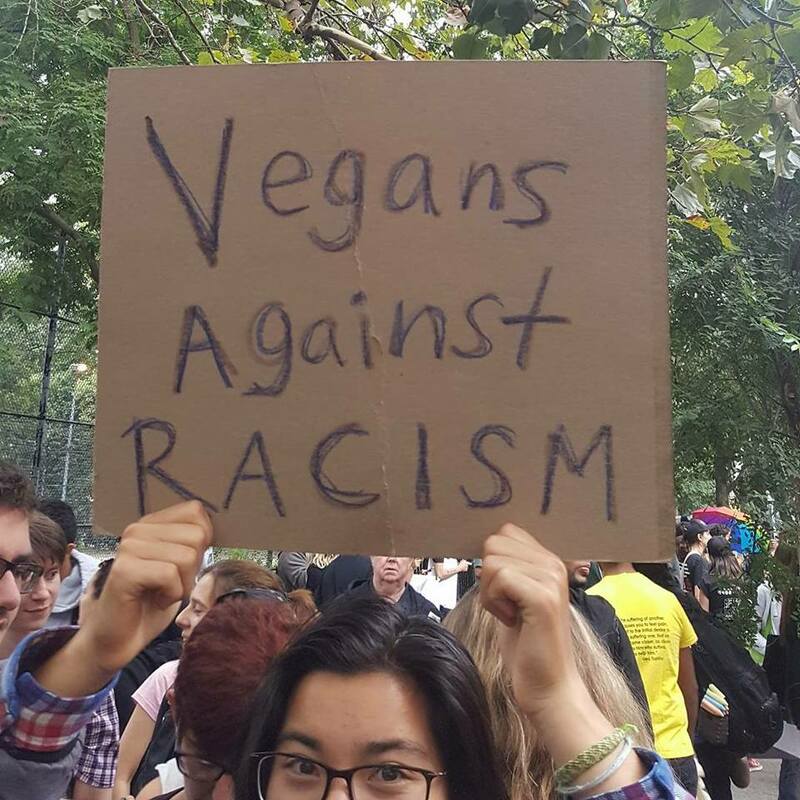 I really appreciate the Vegan movement throughout history and now.